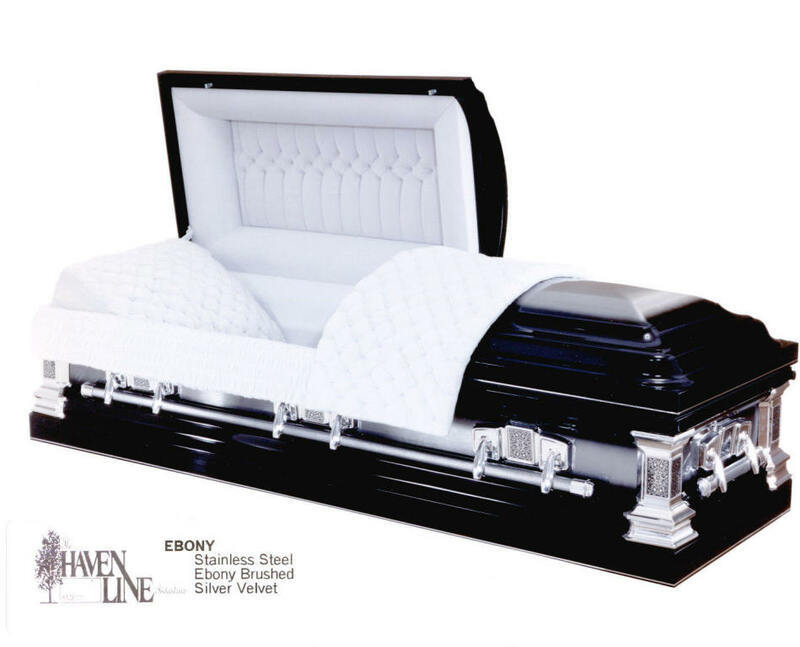 We pride ourselves in having the most choices available to our client families, and offering pricing that can be affordable - no matter what your financial means are. 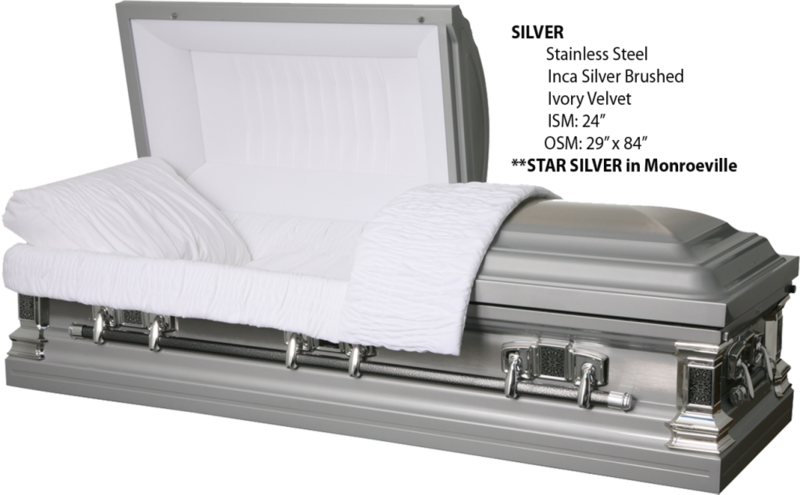 Even if your finances will not allow to select one of the packages below, just ask us, and we will cater to each individual need. 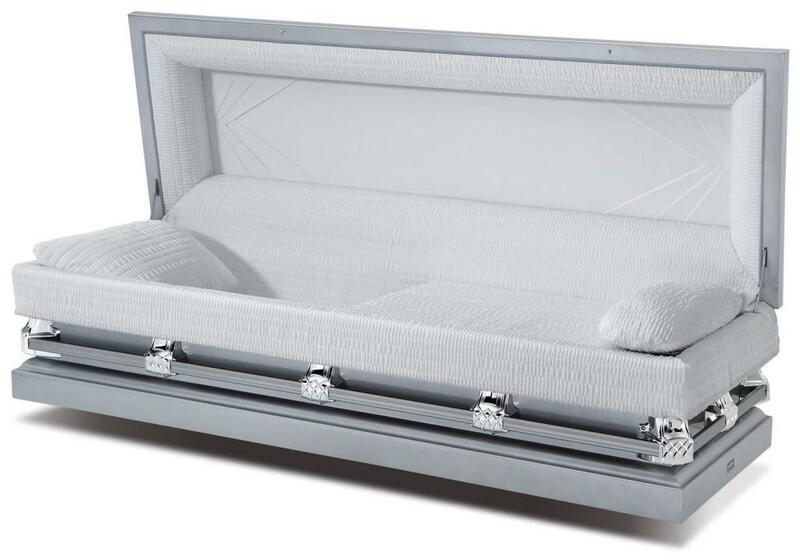 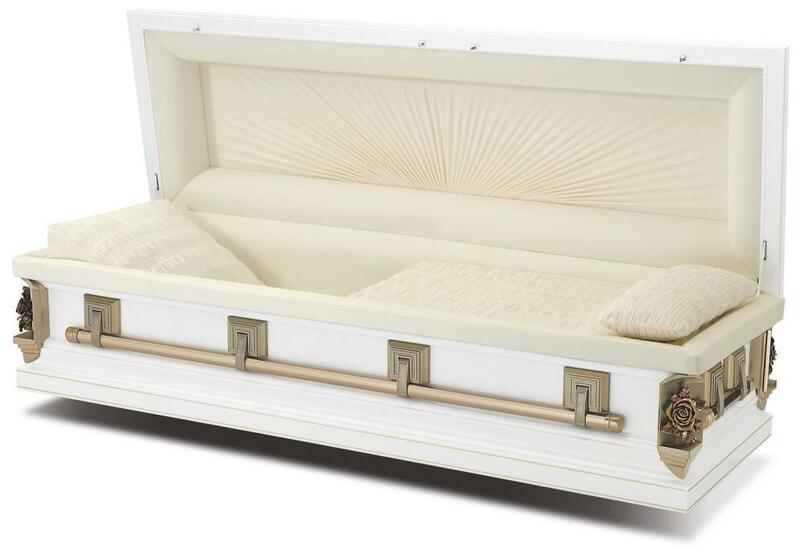 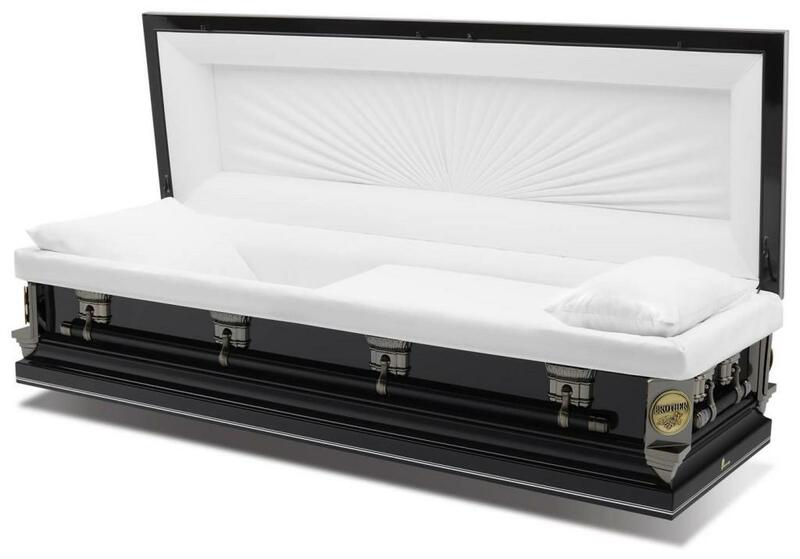 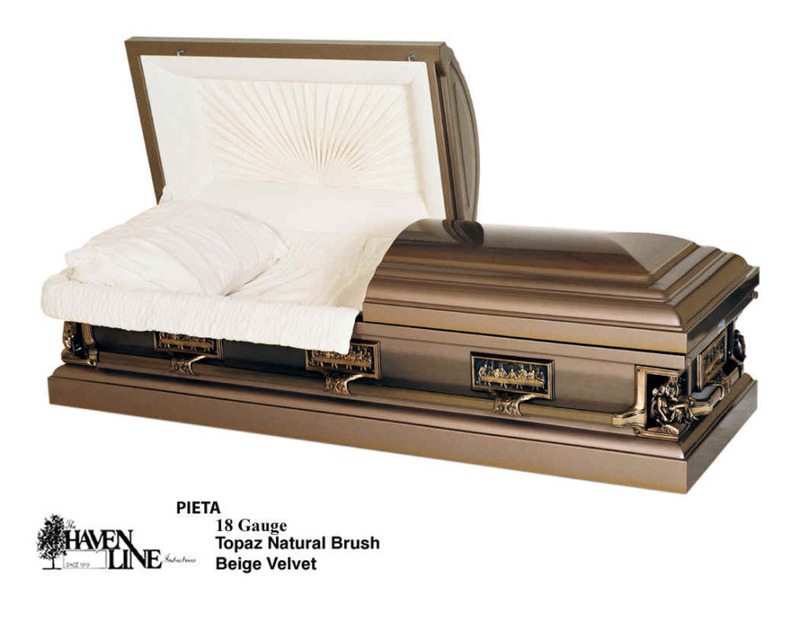 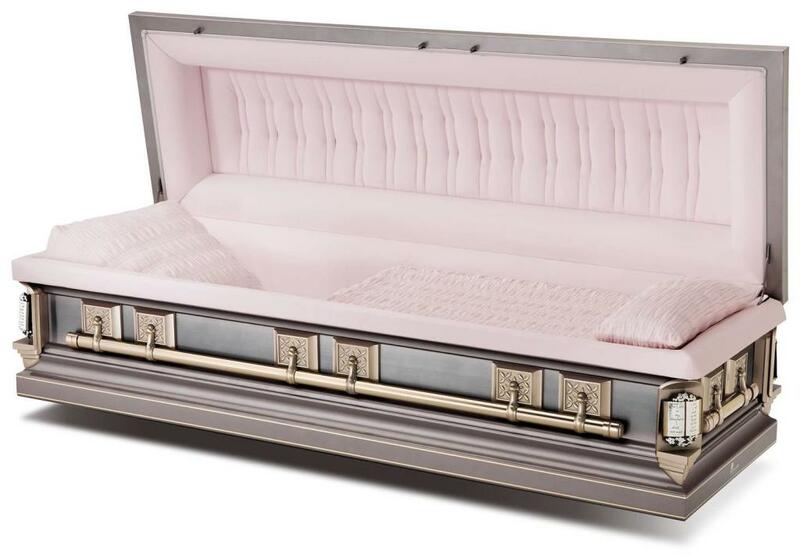 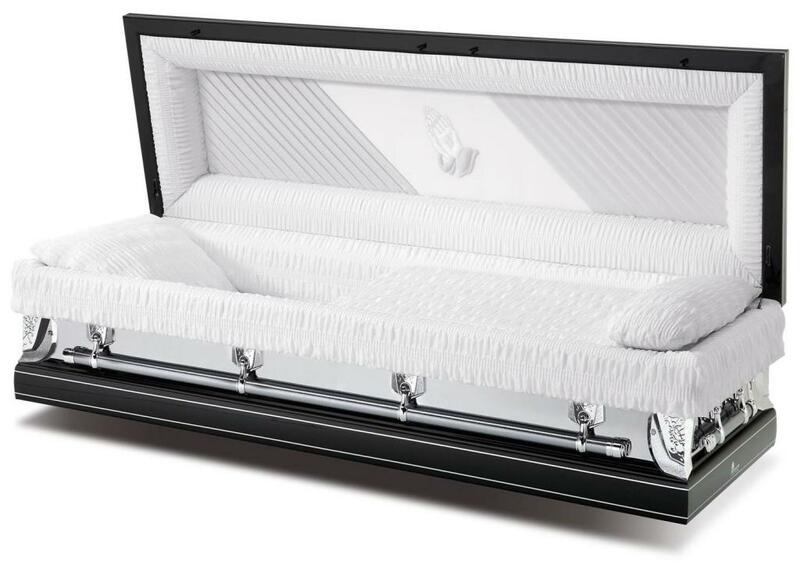 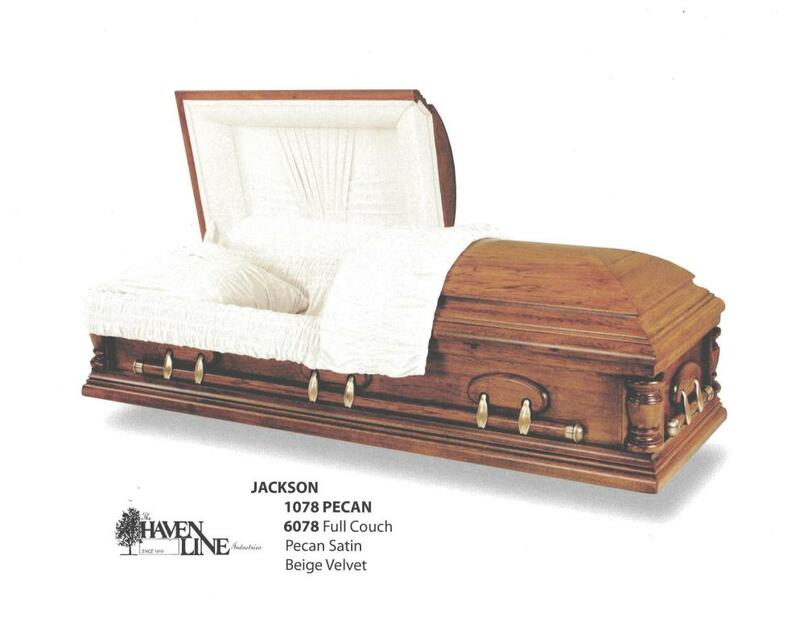 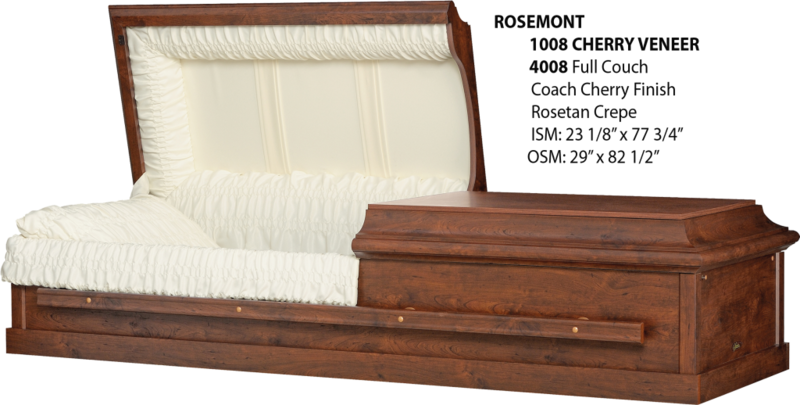 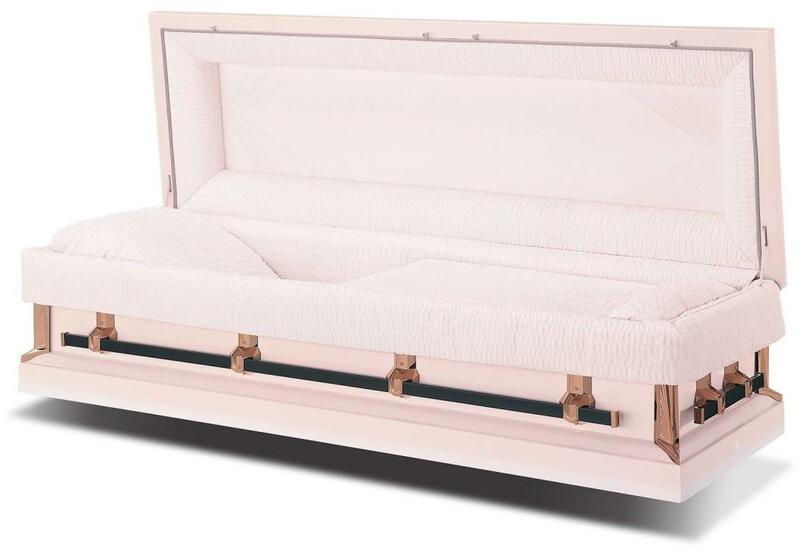 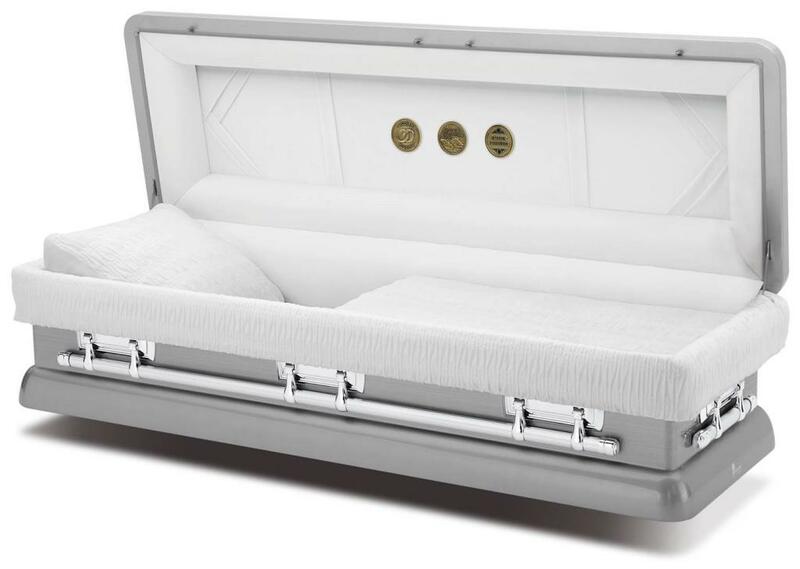 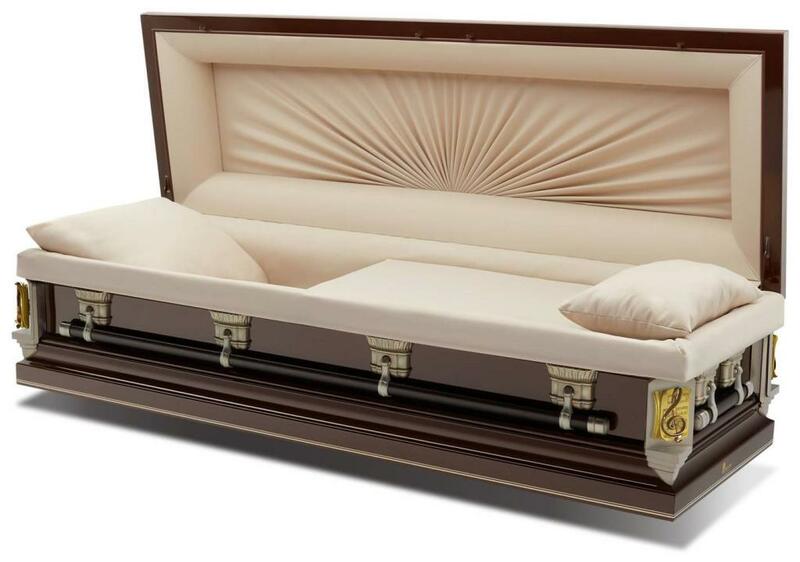 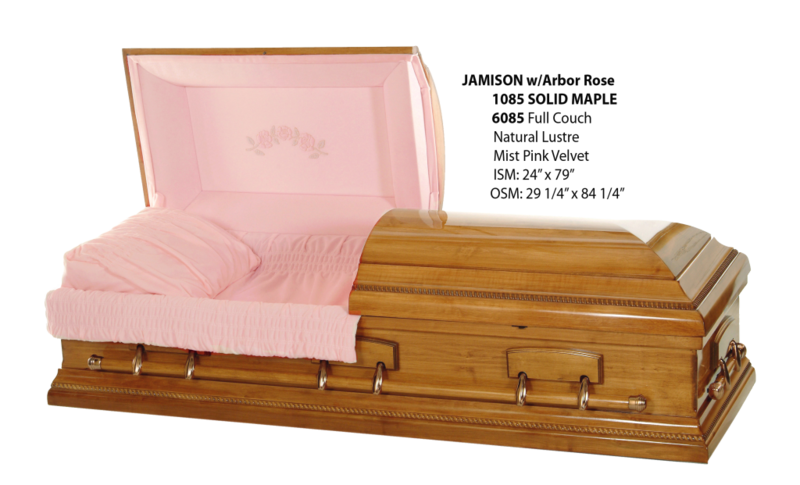 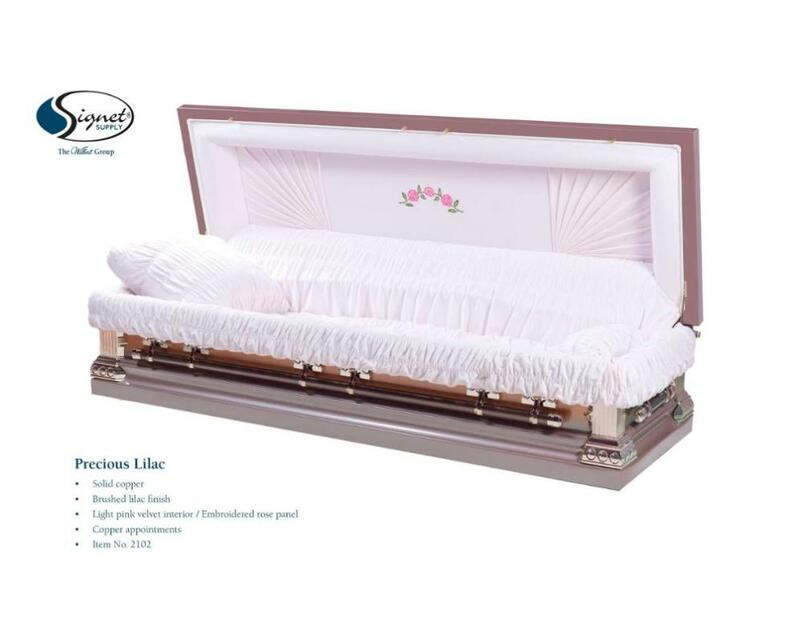 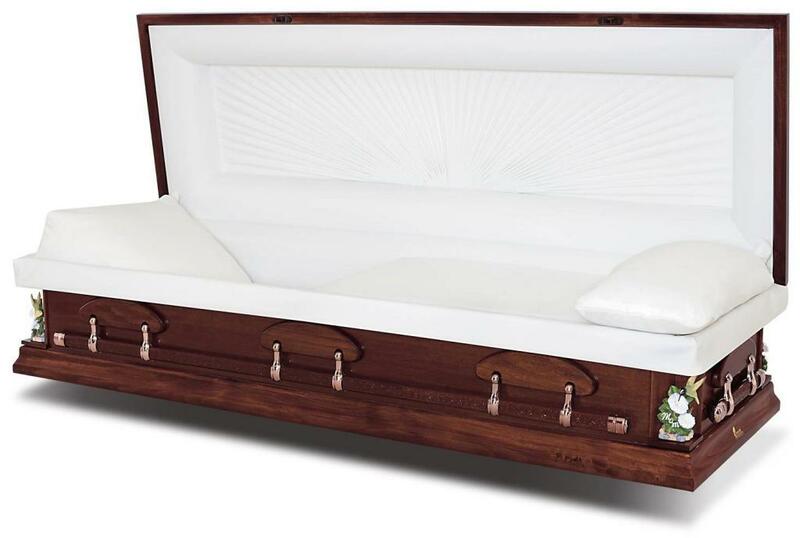 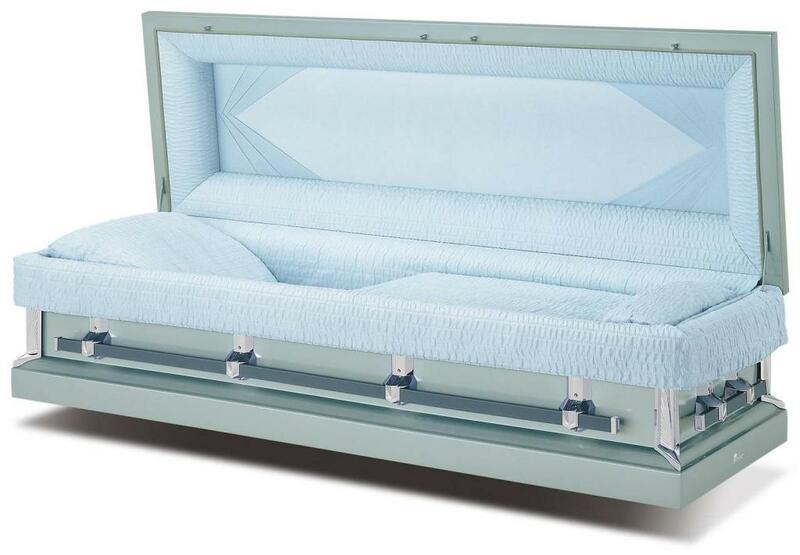 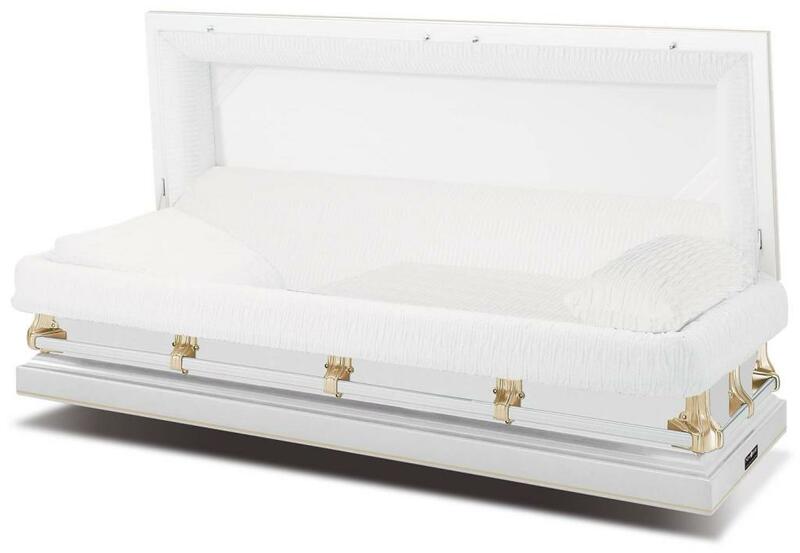 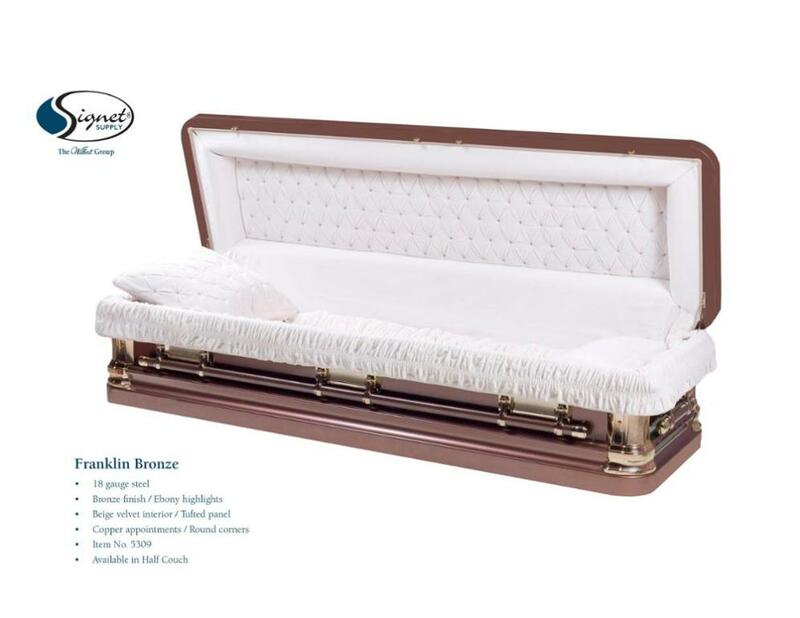 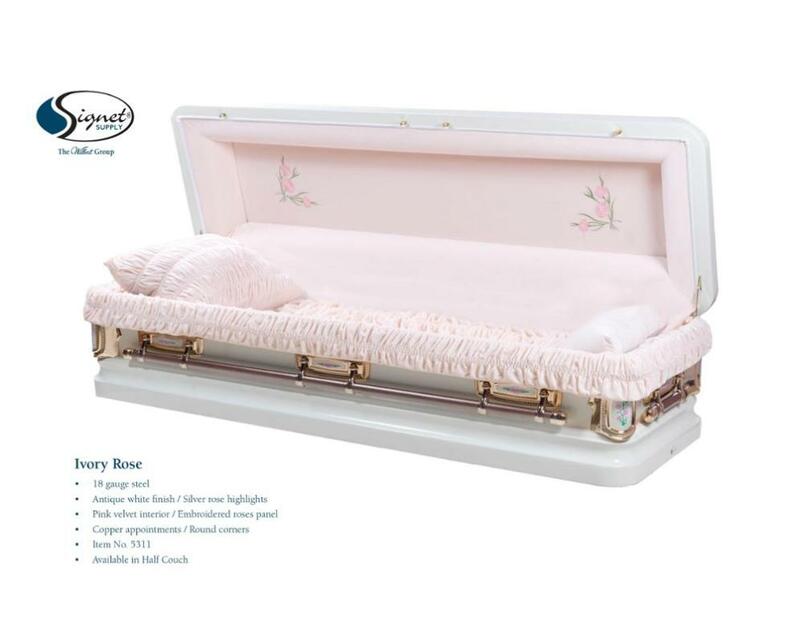 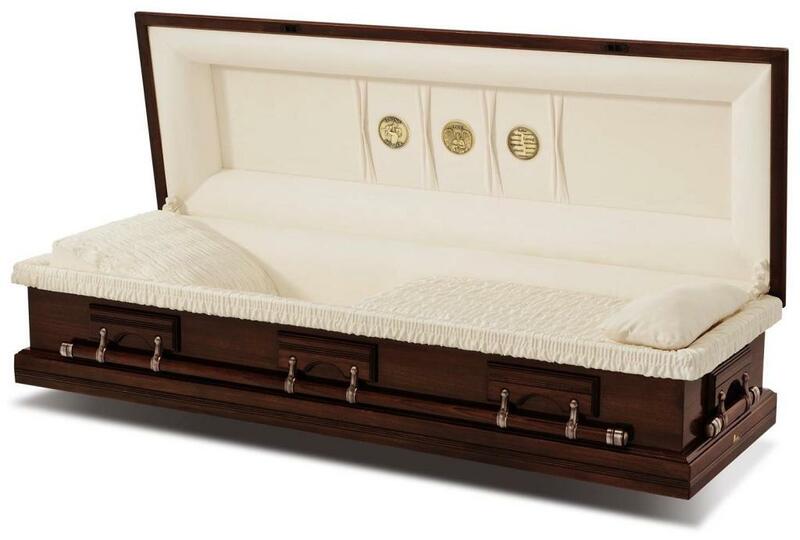 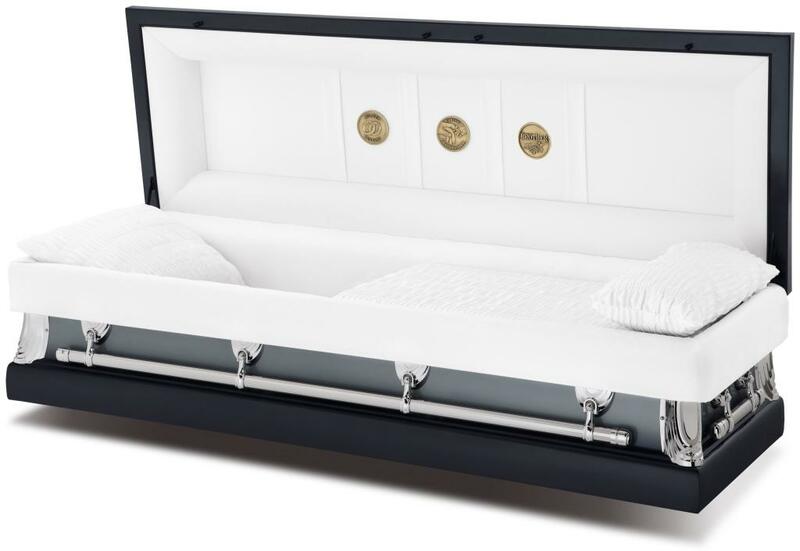 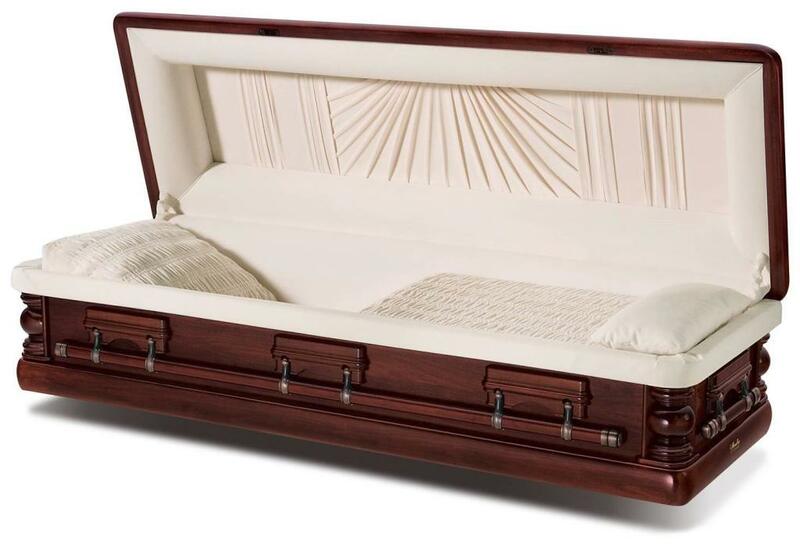 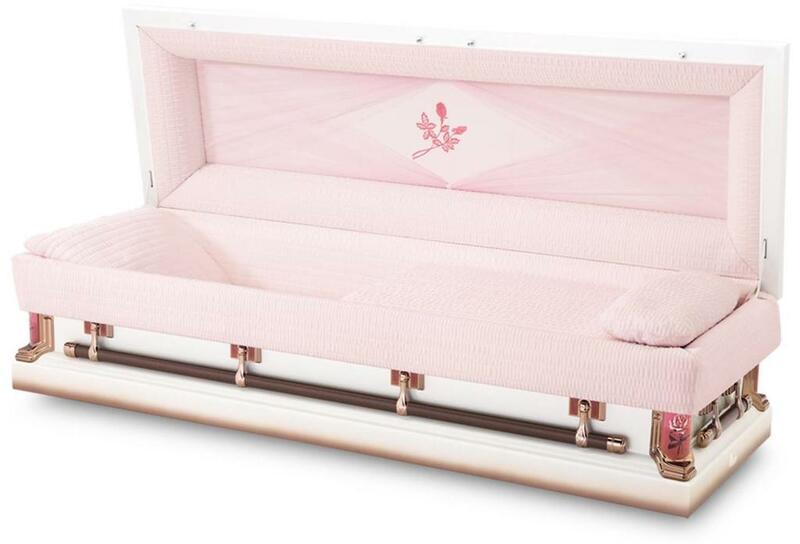 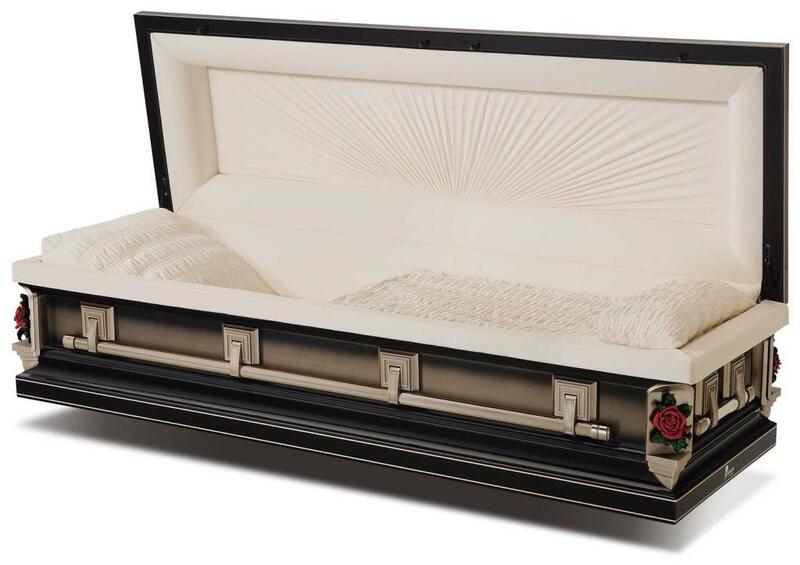 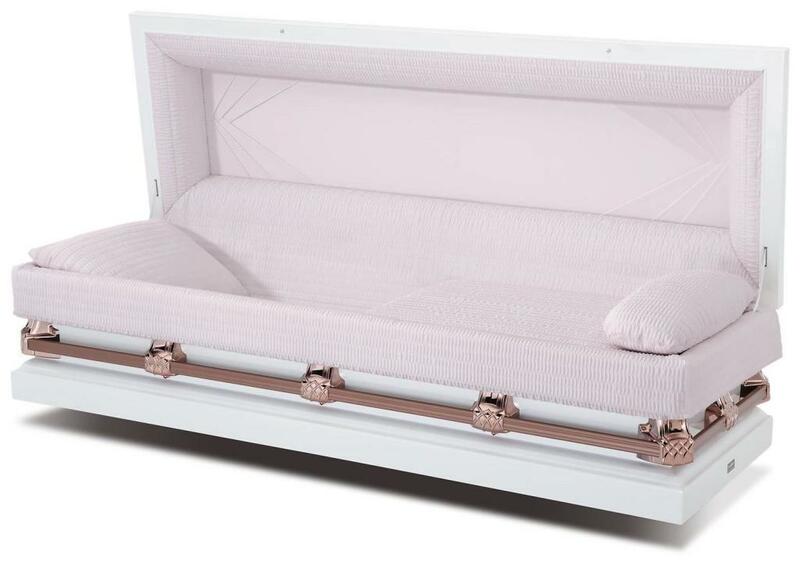 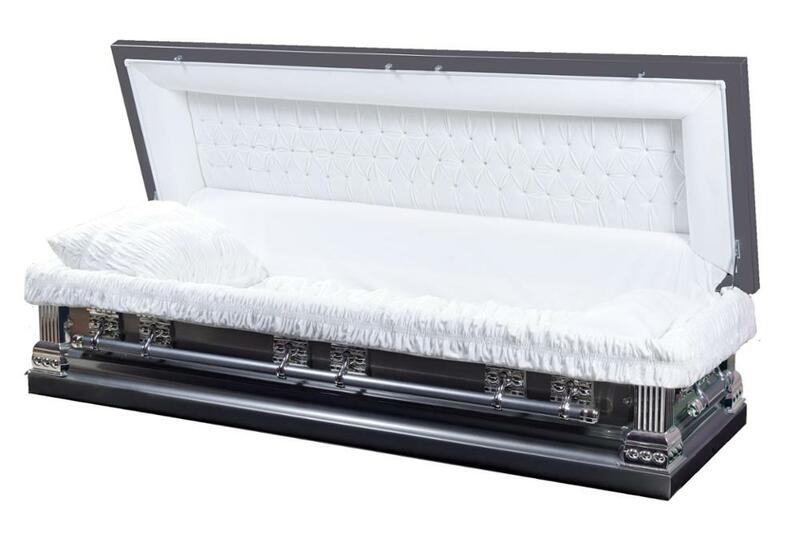 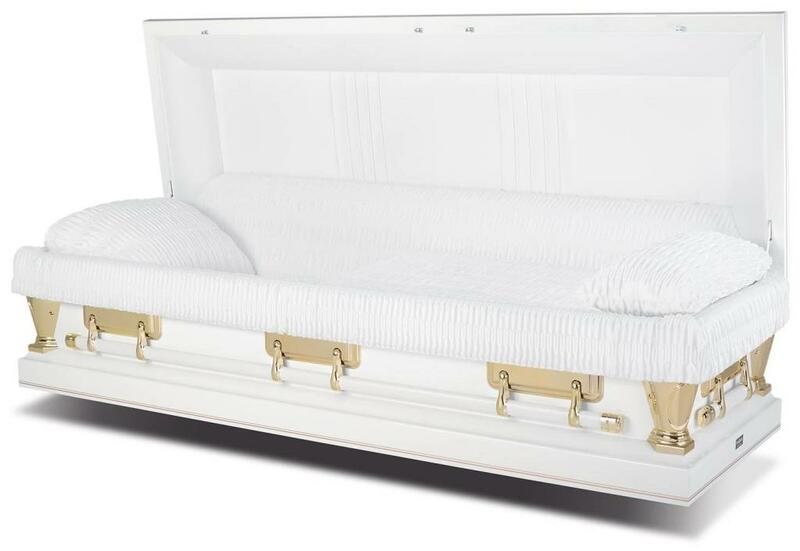 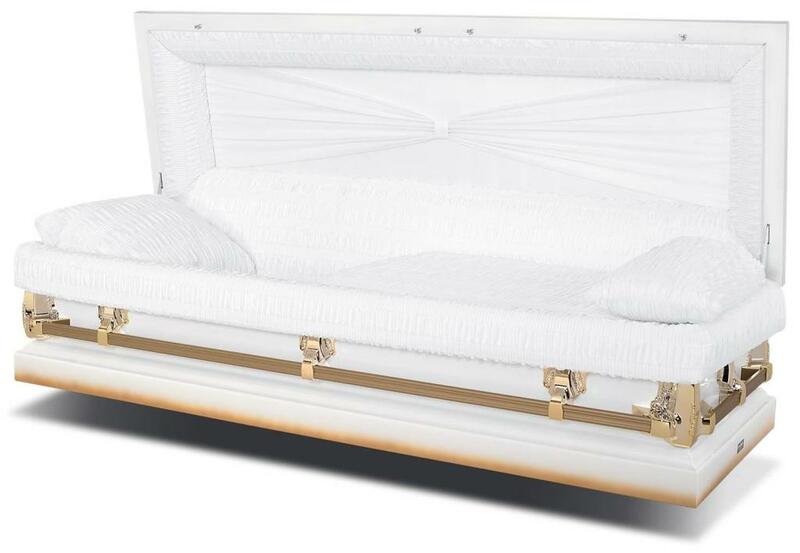 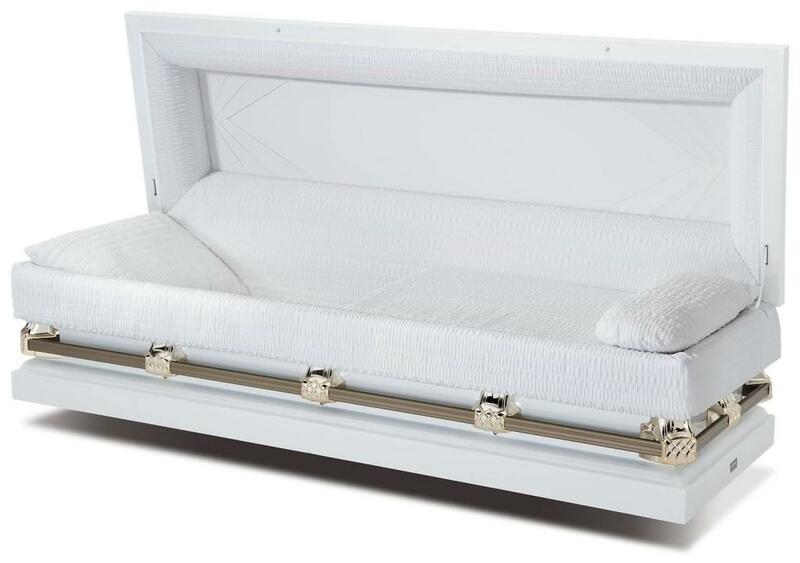 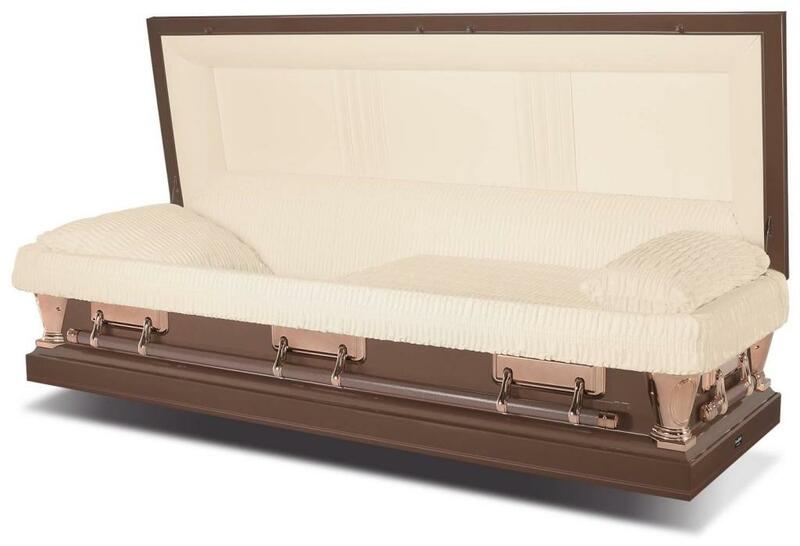 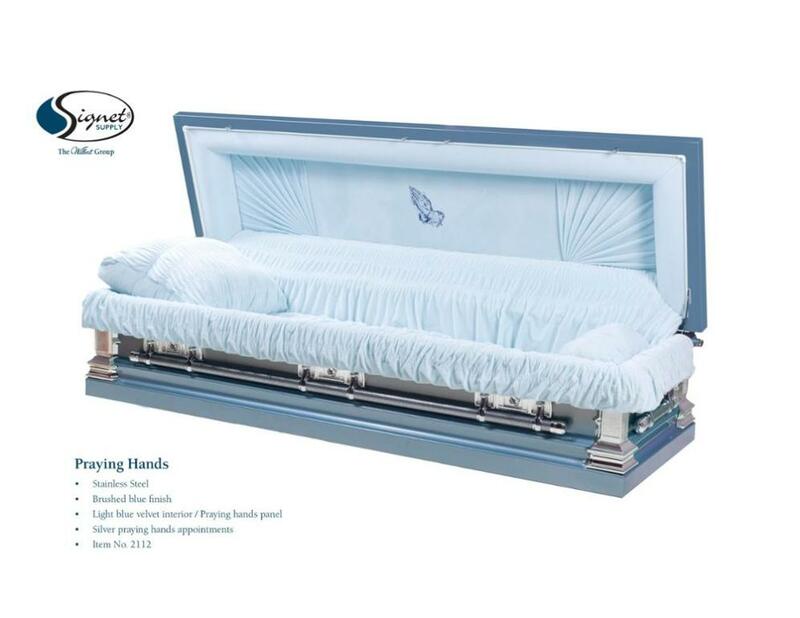 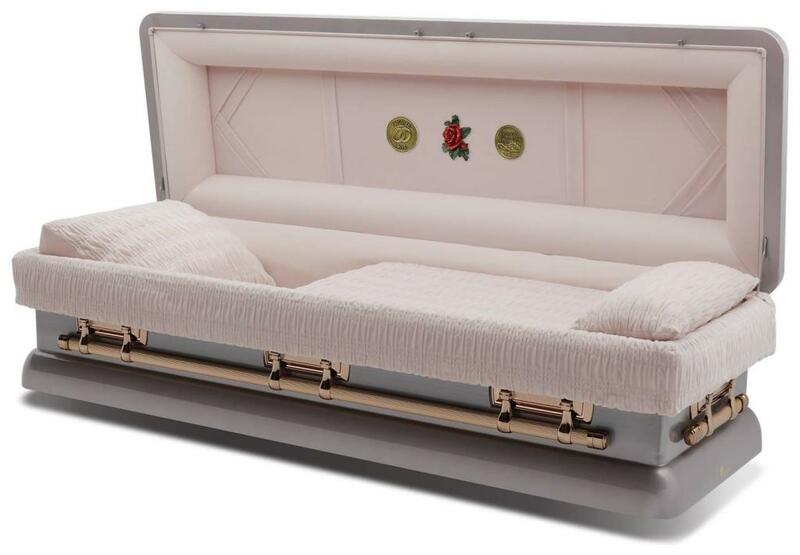 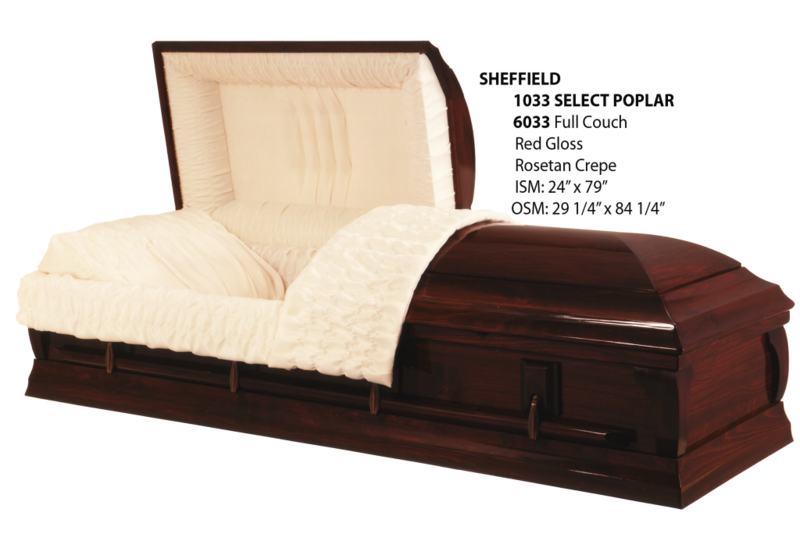 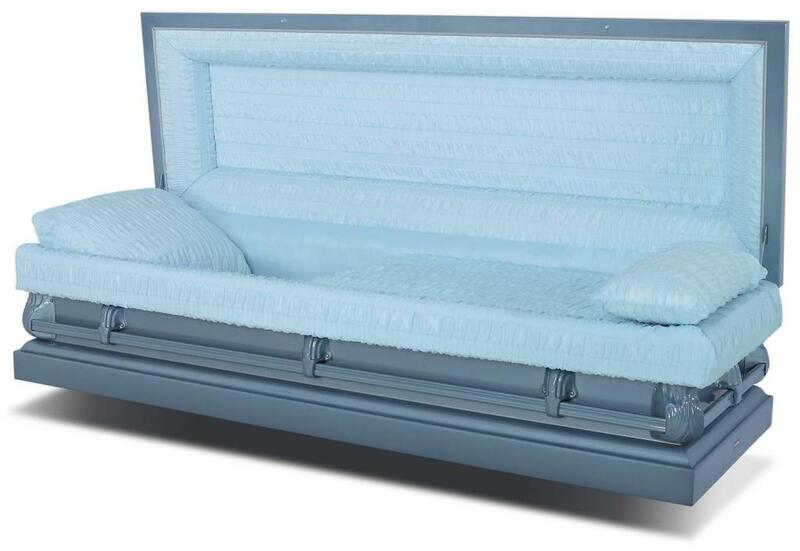 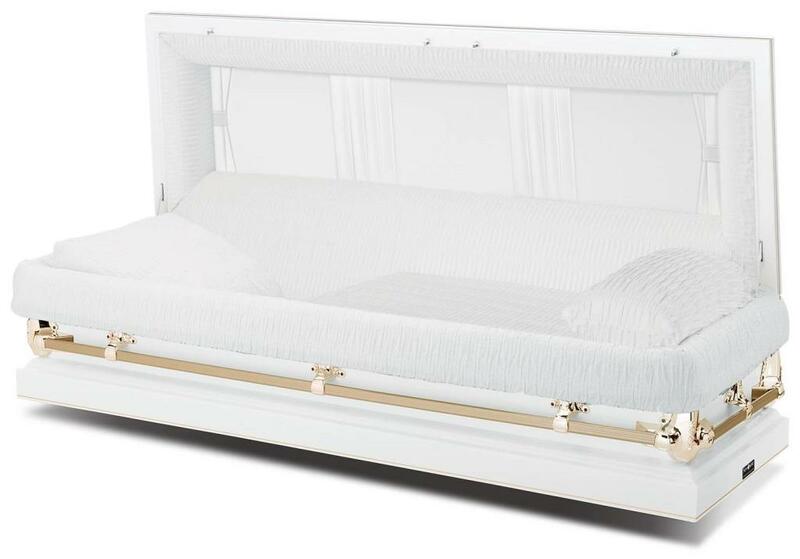 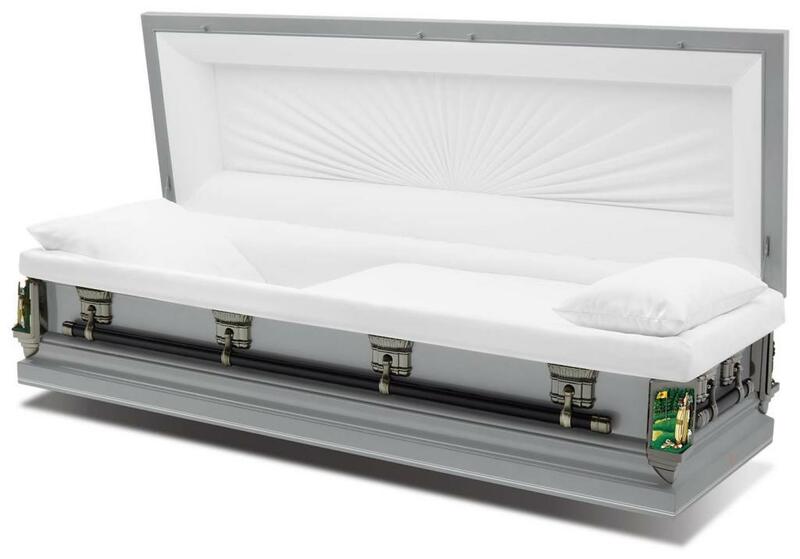 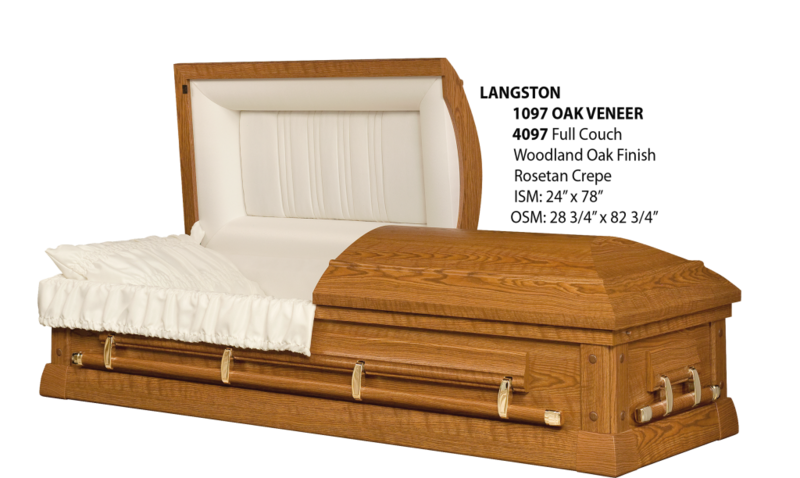 The first four packages you will see are our most commonly chosen and include our complete professional services, and a choice of many caskets in various colors and styles. 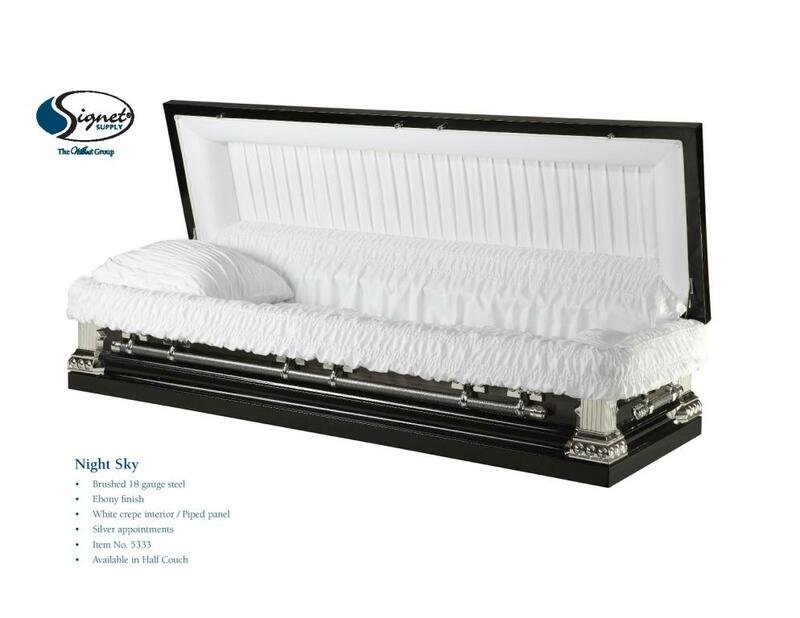 Additionally, each family who holds a full prior day visitation of three hours or more will have the complete use of our family lounge which we stock with a light menu of your choice, along with coffee, soft drinks, filtered water, all utensils, plates, napkins, cups, etc. 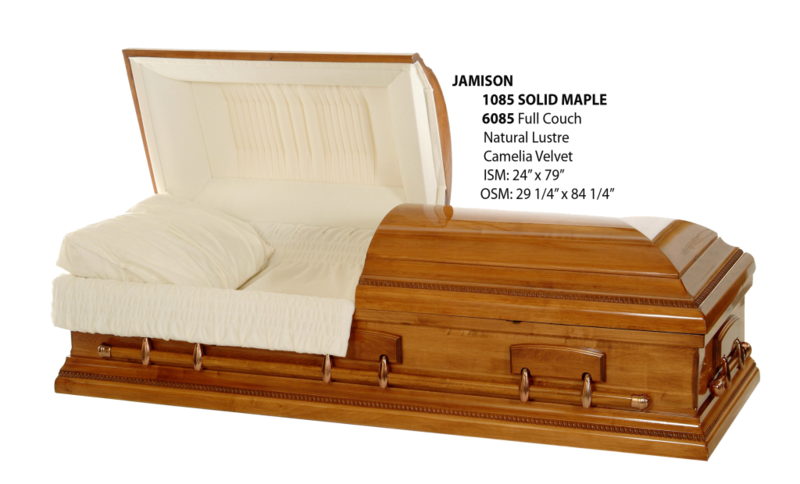 For our little guests, we have a children's play area with toys, books and a television with a DVD player that will be available for your use as well. 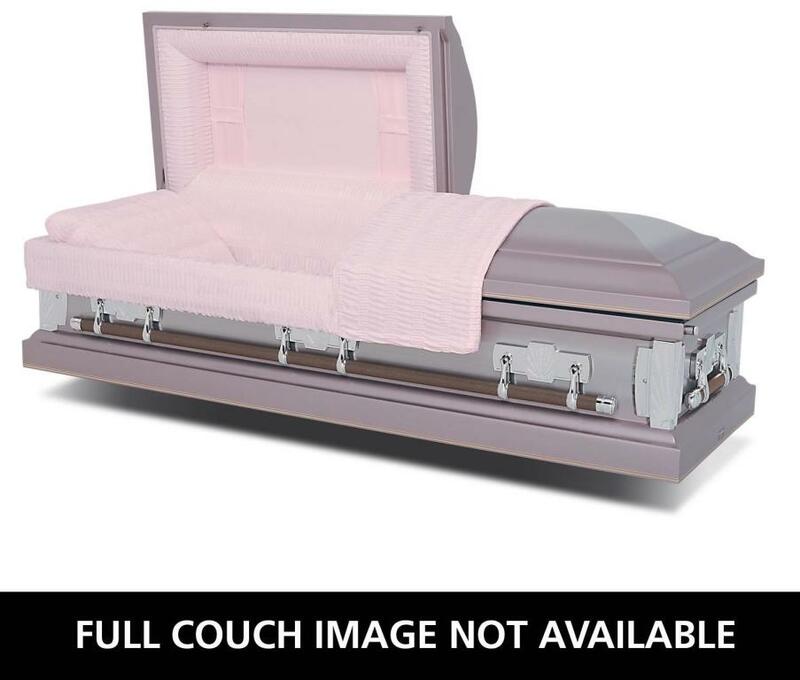 This area requires supervision from an adult family member. There is never a charge to our families for these services. 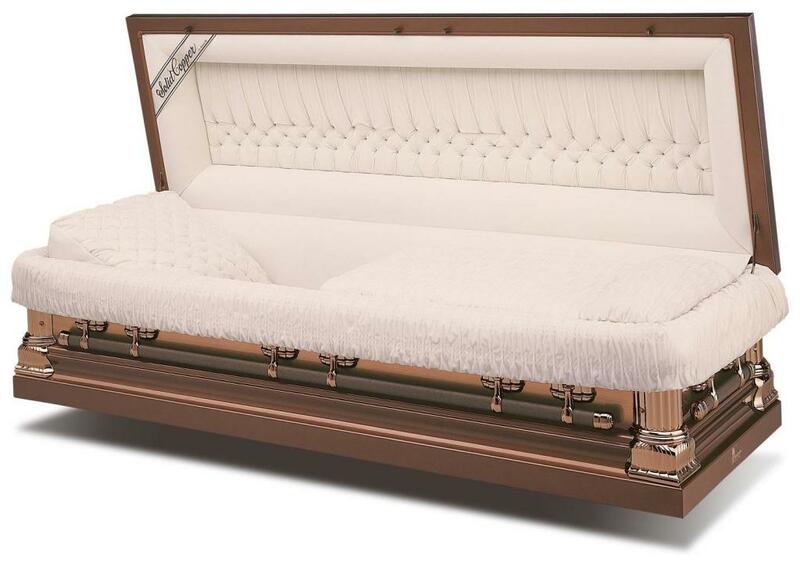 Essential Tribute Service.............$6,250.00 with one day viewing and funeral on the following day. Limited Essential Tribute Service................$6,000.00 with same day viewing and funeral service. 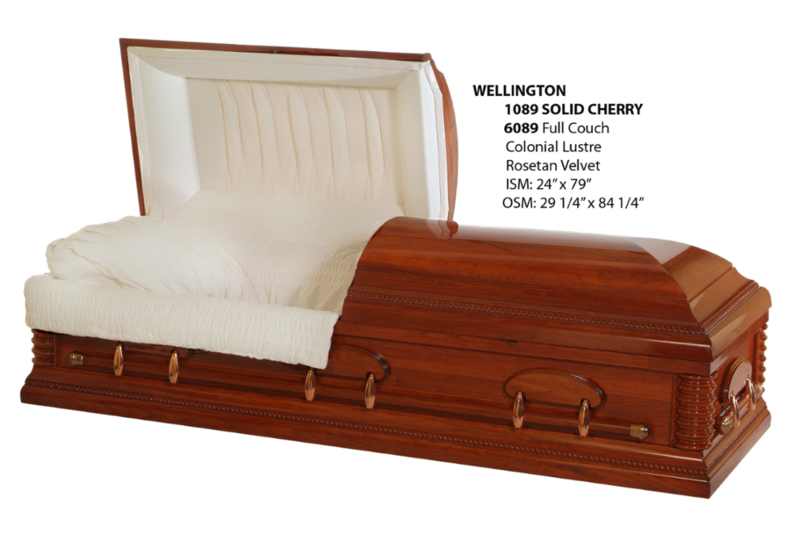 All caskets in the section are made of 20 Ga. gasketed steel or a veneer wood. 12 ga. regular steel vault may be purchased for $1,075.00. 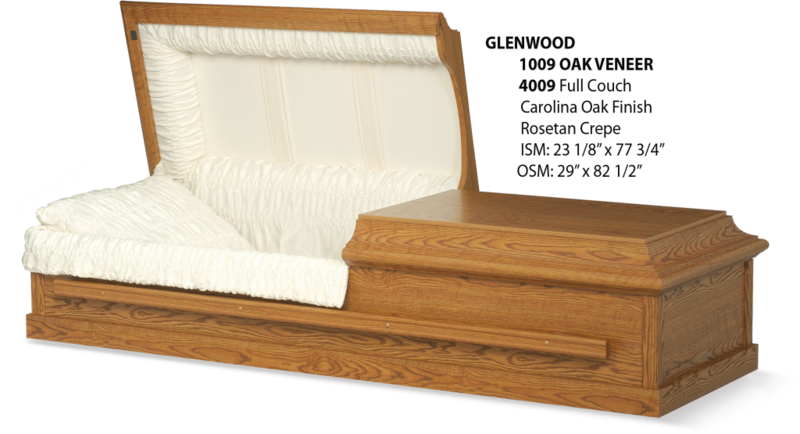 Other grades of steel and concrete vaults are available. 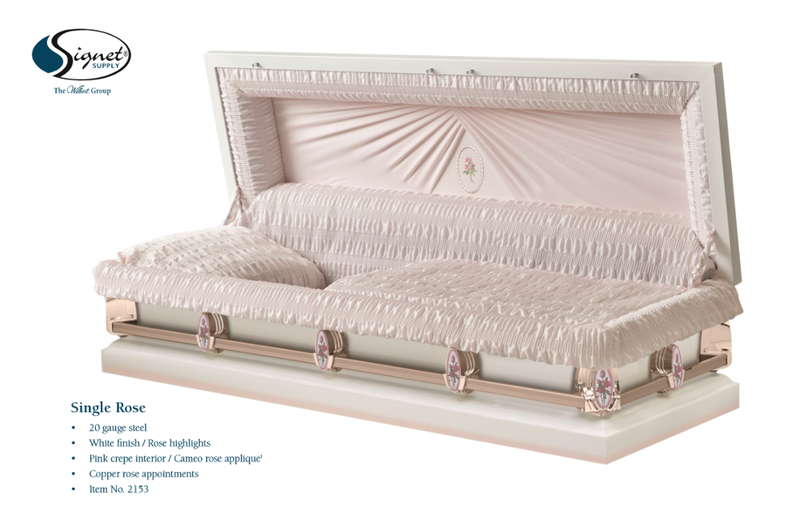 Cherished Tribute Plan.........….$6,600.00 with one day of viewing and funeral service on the following day. 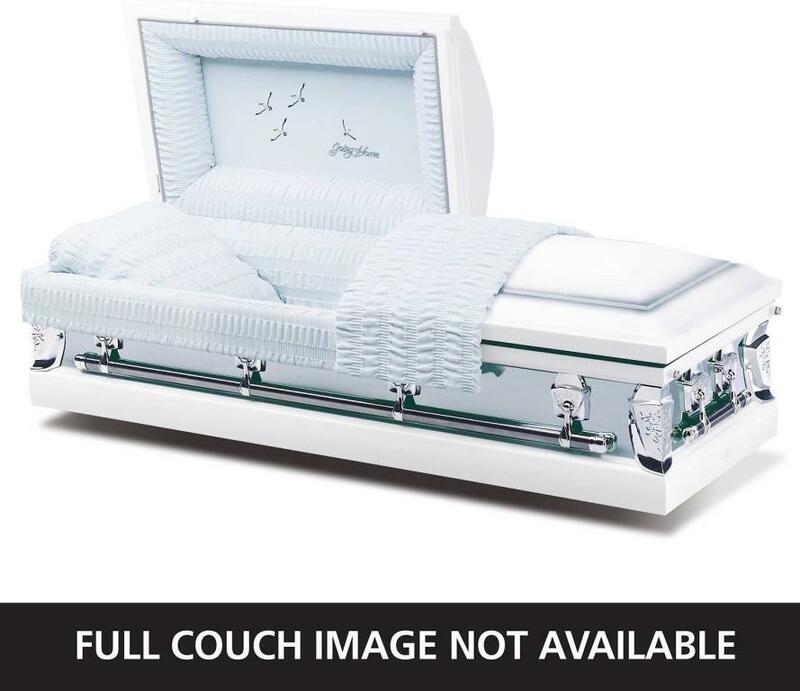 Limited Cherished Tribute Plan.........….$6,3500.00 with same day viewing and funeral service. 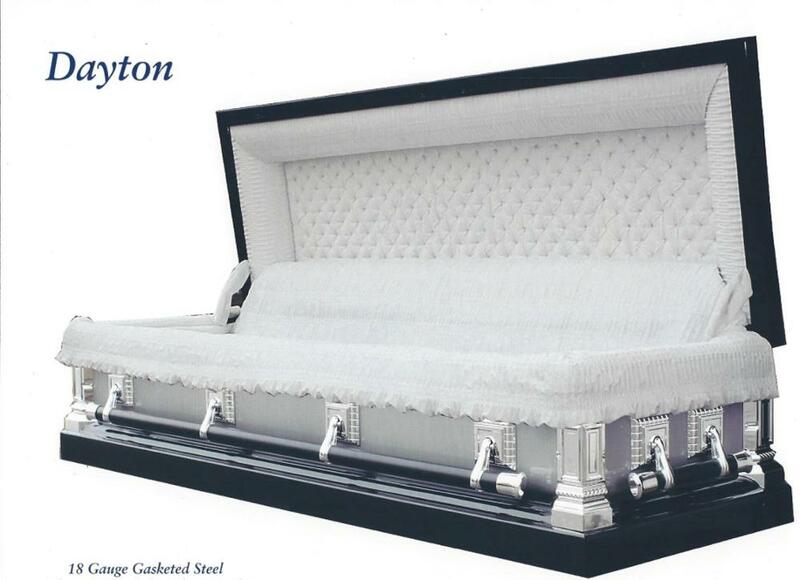 All caskets in the section are made of 20 Ga. gasketed steel. 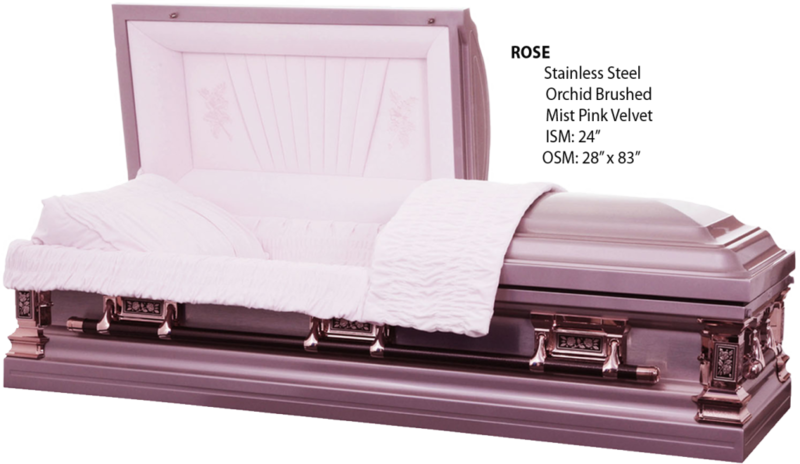 Basic Tribute Funeral Service................$5,750.00 with one day of viewing and funeral on the following day. 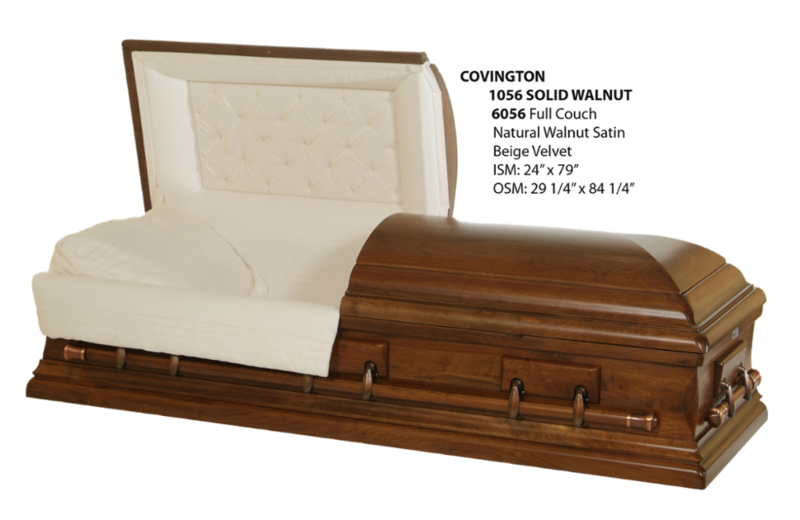 Limited Basic Tribute Funeral Service................$5,550.00 with same day viewing and funeral service. 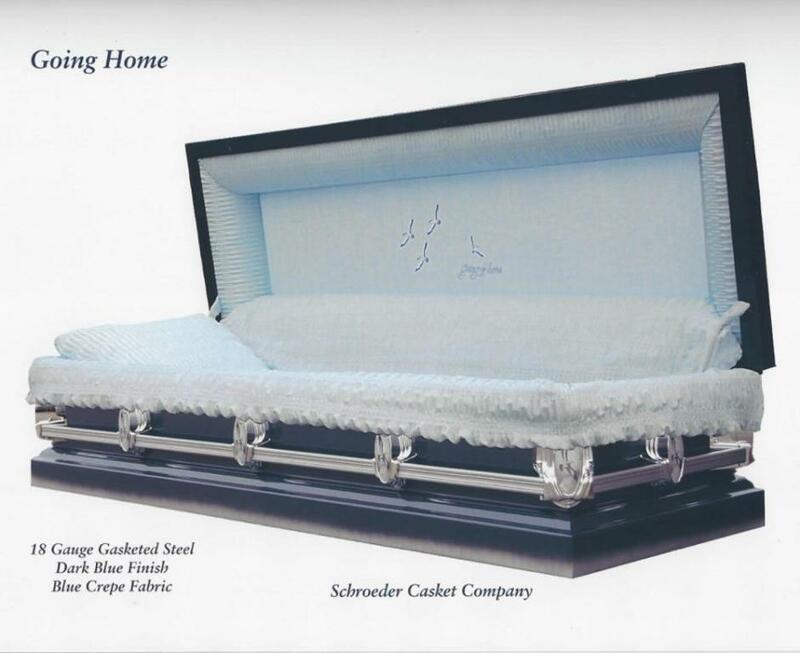 All Caskets in this section are made of basic 20 Ga. Non- Gasketed Steel. 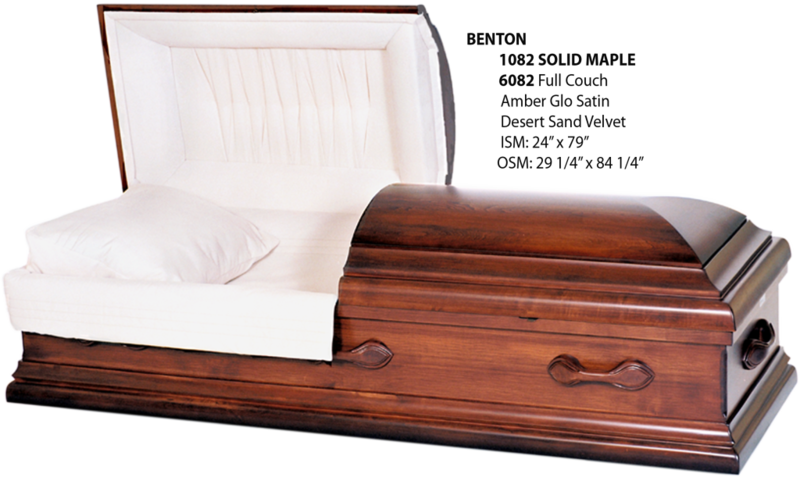 The Commemoration Plan........................$7,000.00 with one day of viewing and funeral on the following day. 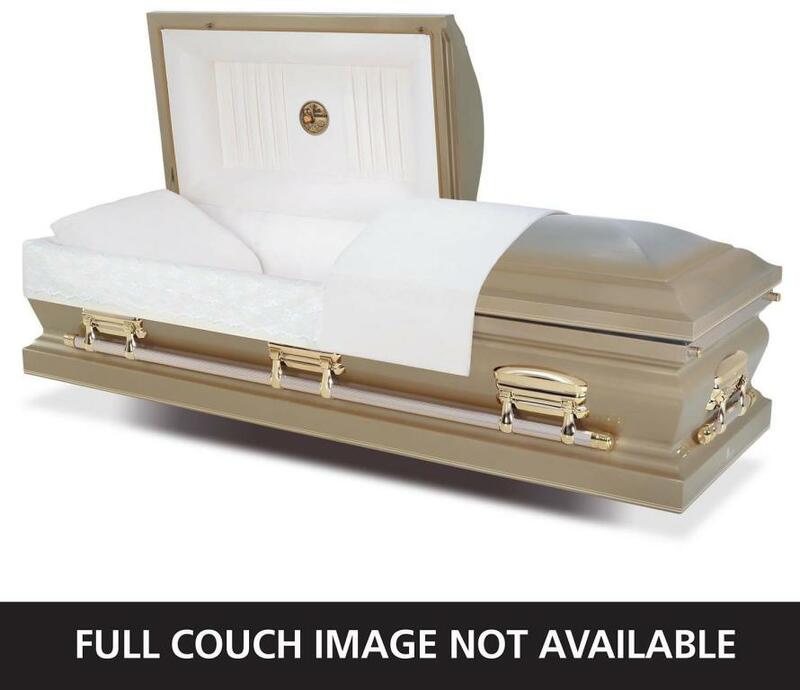 Limited Commemoration Plan................$6,750.00 with same day viewing and funeral service. 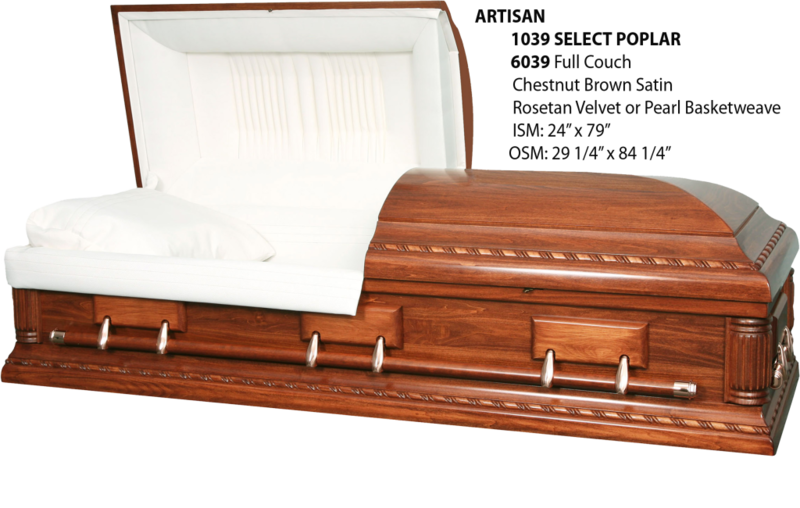 All caskets in the section are made of 18 Ga. gasketed steel or select hardwood. 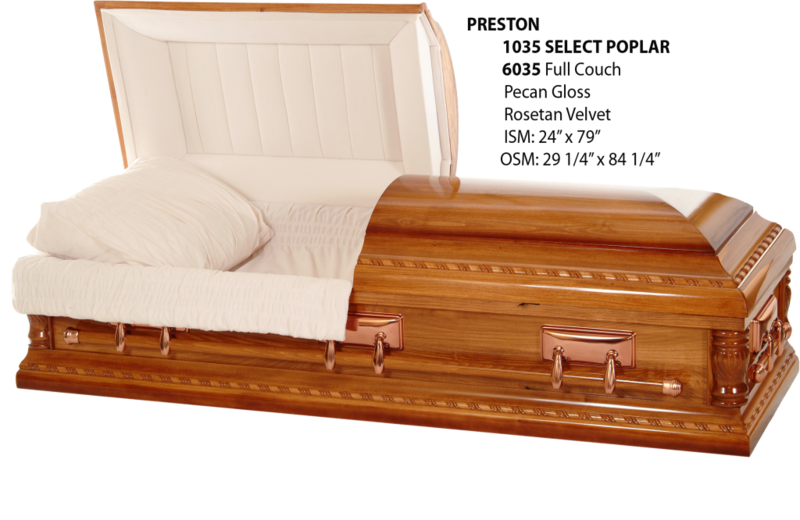 The Reflection Plan..................................$7,500.00 with one day viewing and funeral service on the following day. 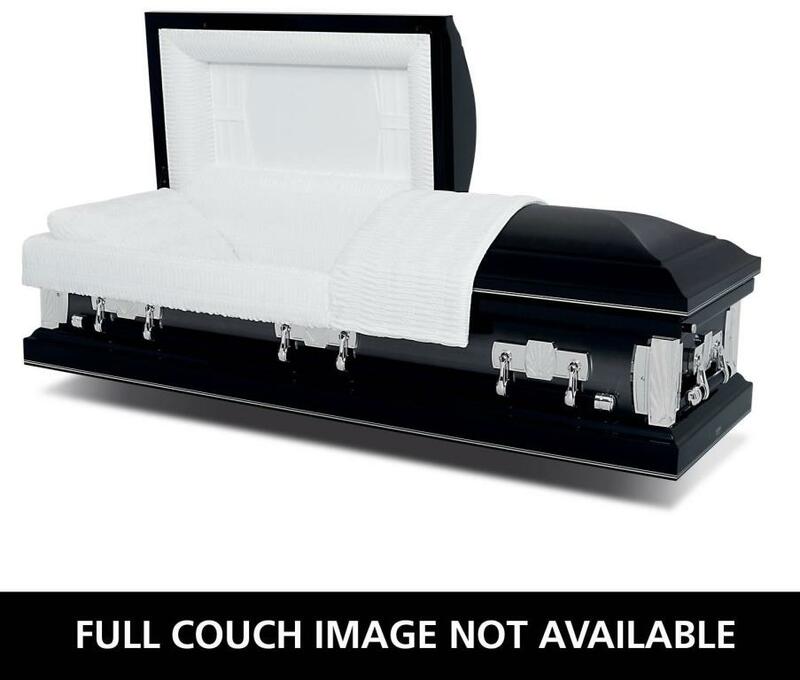 Limited Reflection Plan..........................$7,250.00 with same day viewing and funeral service. 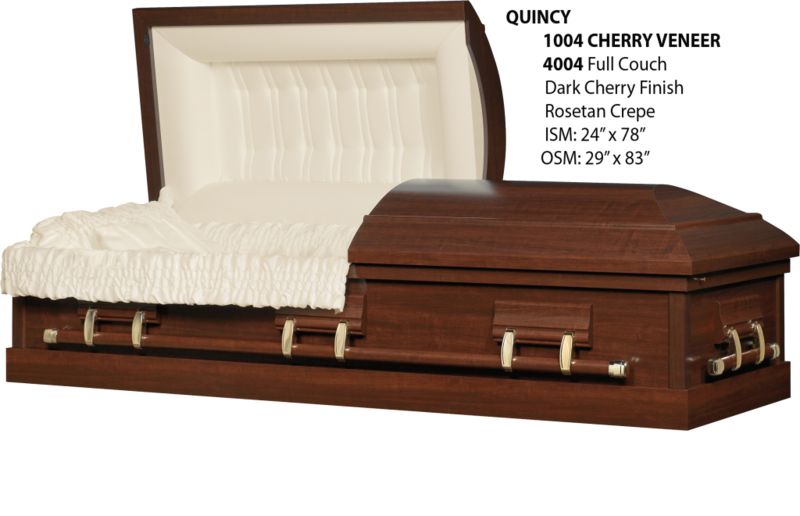 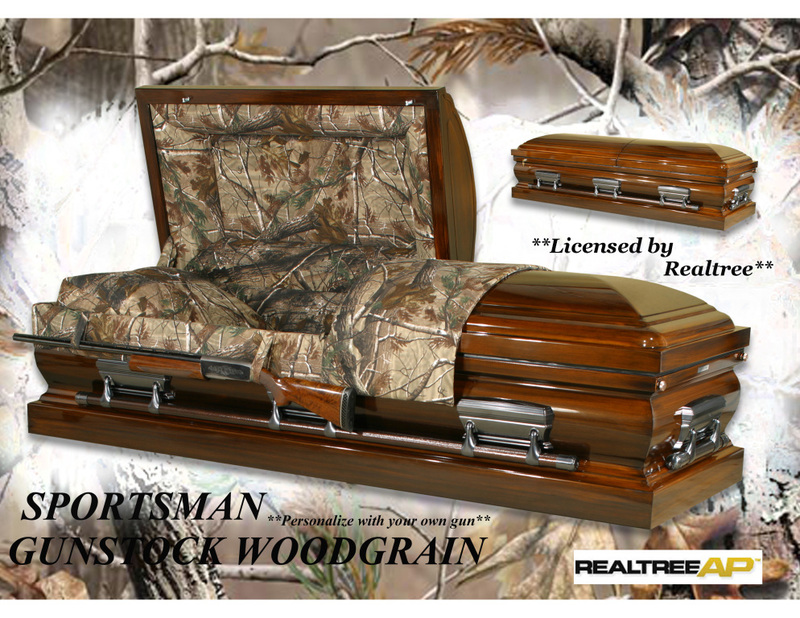 All caskets in the section are enhanced 18 Ga. gasketed steel or select hardwoods. 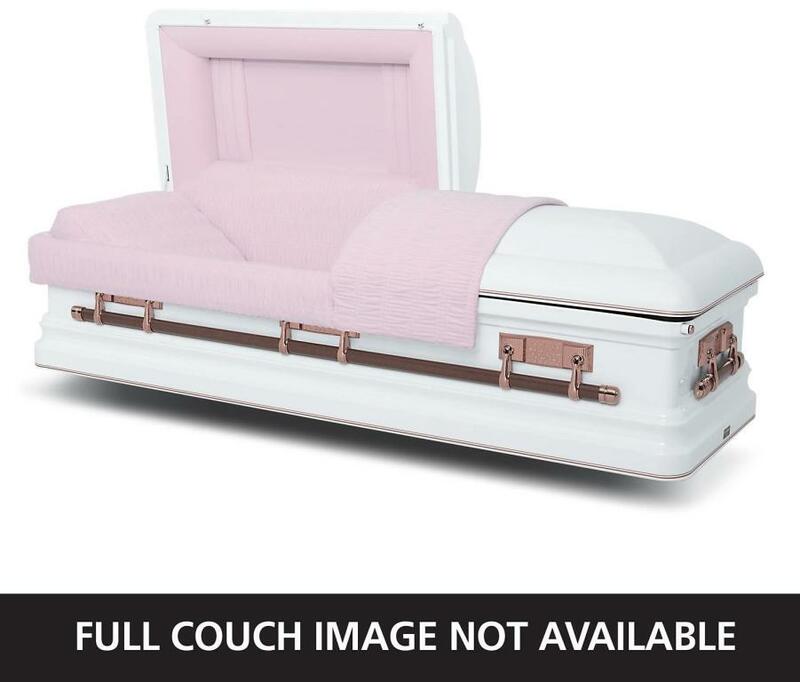 Treasured Memory Tribute.......................$8,150.00 with one day viewing and funeral on the following day. 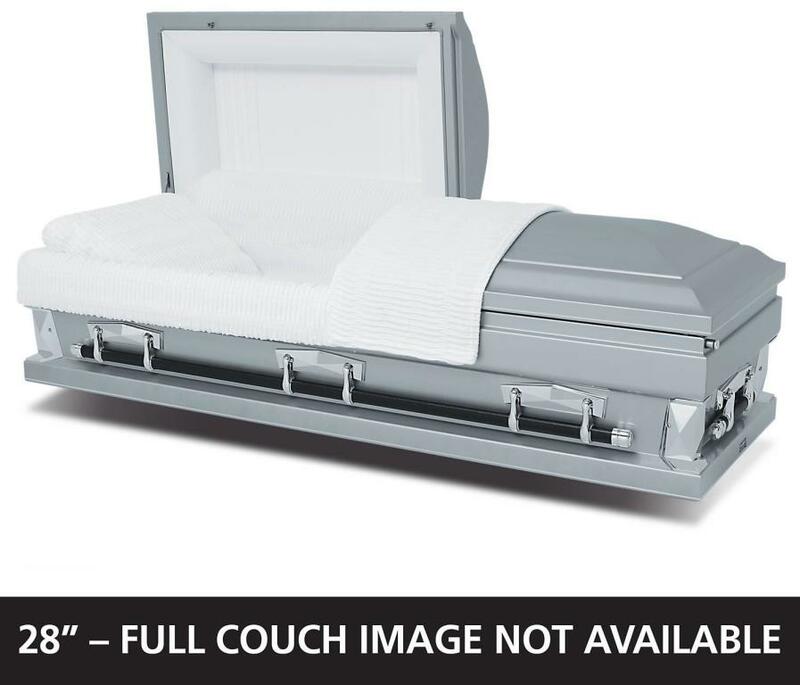 Limited Treasured Memory Tribute................$7,900.00 with same day viewing and funeral service. 12 ga. regular steel vault may be purchased for $1,075.00 Other grades of steel and concrete vaults are available. 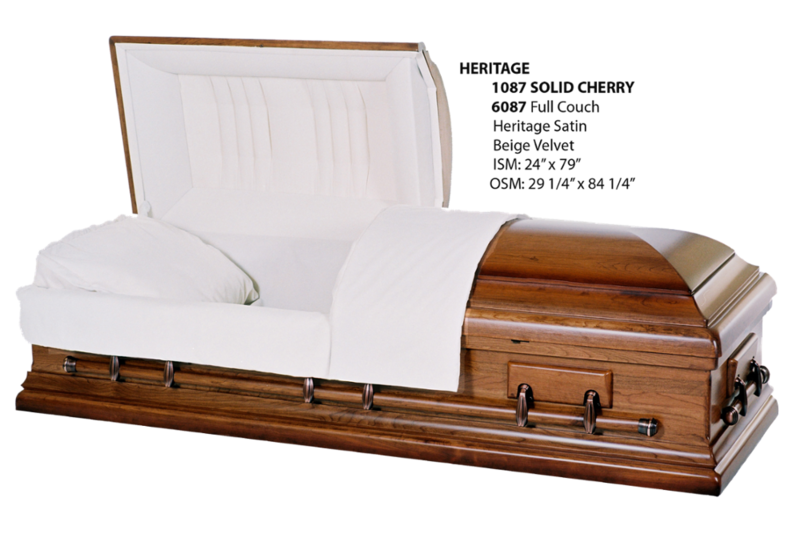 All caskets in this section are premium 18 Ga. steel or select poplar wood. 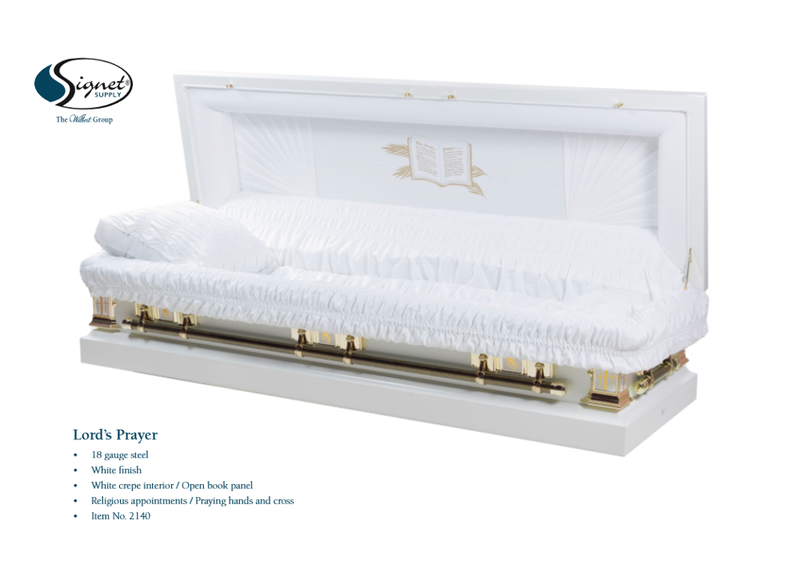 The Remembrance Plan............................$9,250.00 with one day viewing and funeral on the following day. 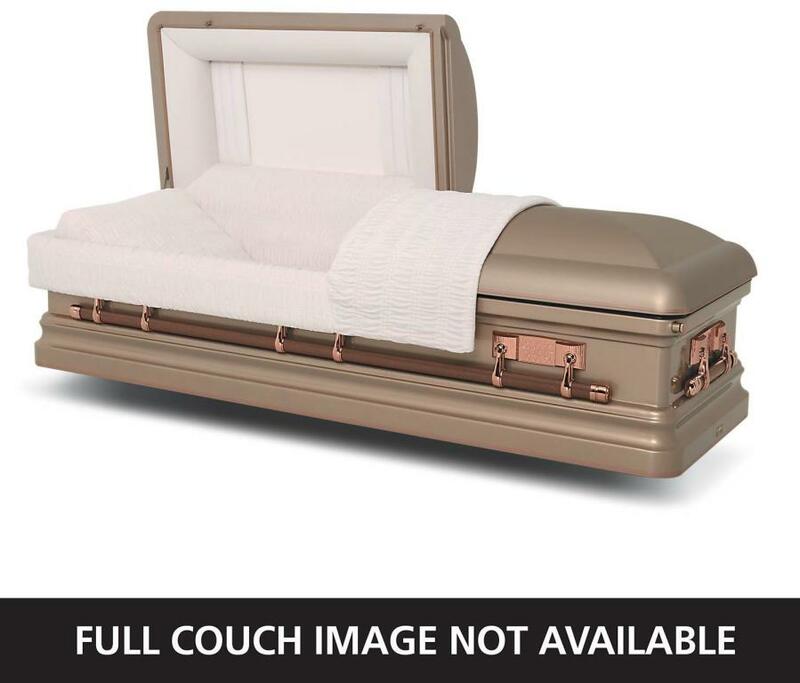 Limited Remembrance Plan....................$9,000.00 with same day viewing and funeral service. 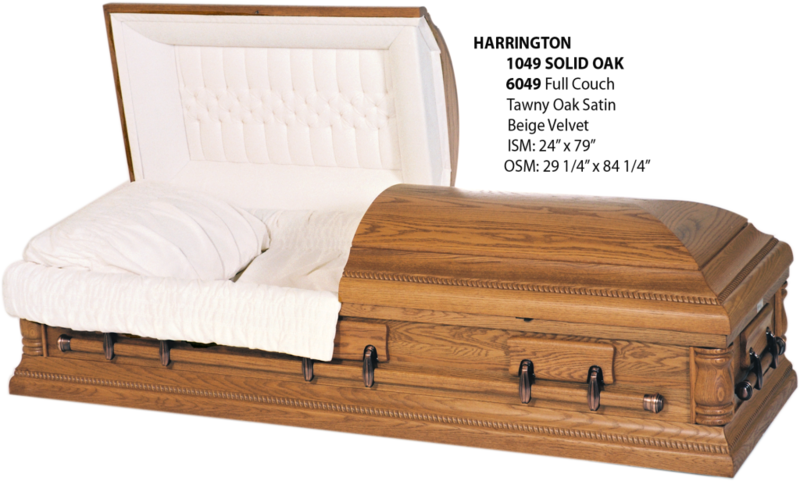 All caskets in this section are made from gasketed stainless steel or solid hardwoods of oak, maple or pecan. 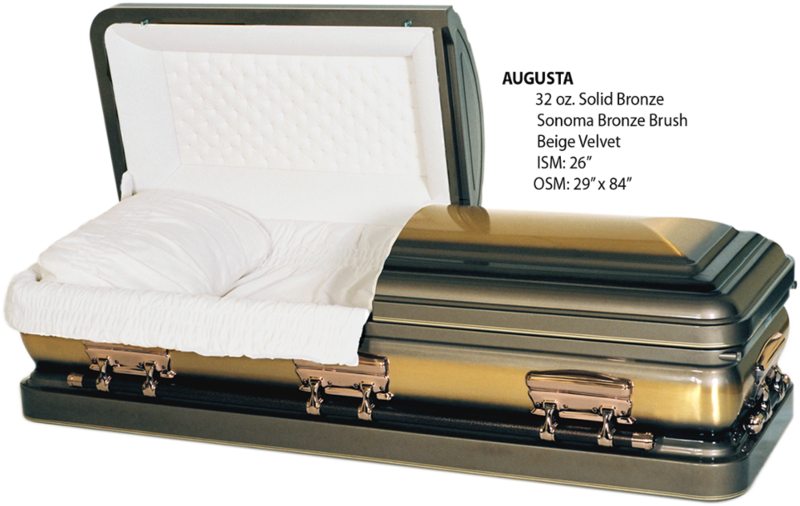 The Premium Plan.................................$11,500.00 with one day viewing and funeral on the following day. 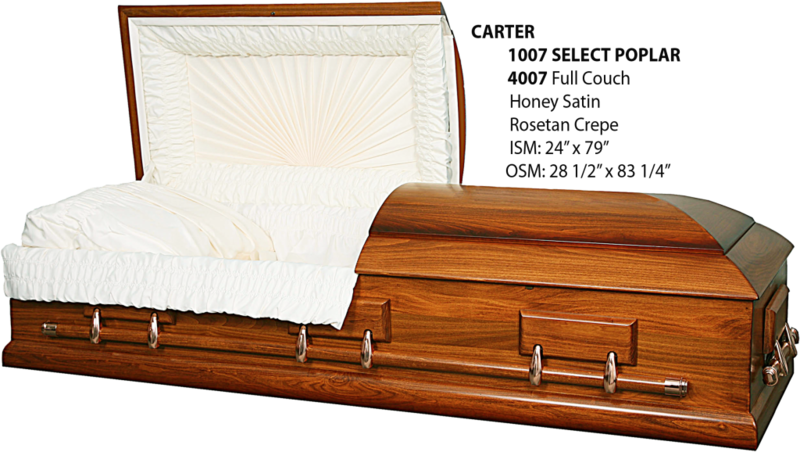 Limited Premium Plan........................................$11,250.00 with same day viewing and funeral service. 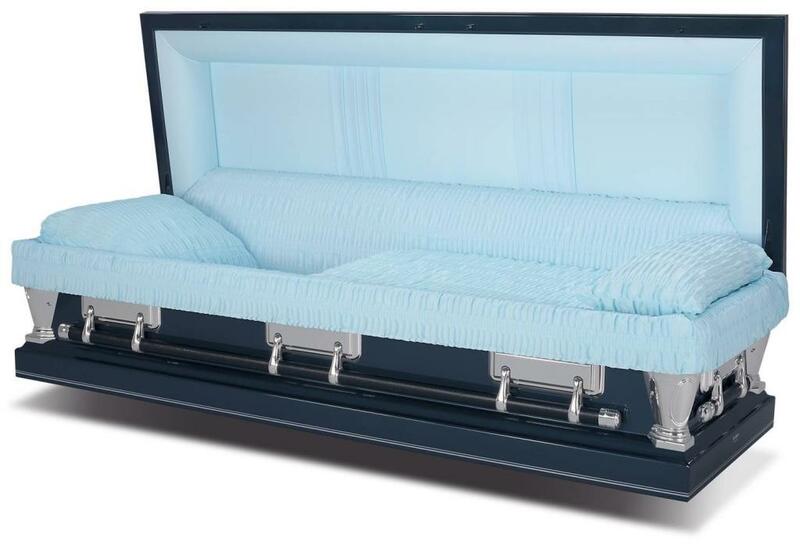 All caskets in this section are made from gasketed 32oz. 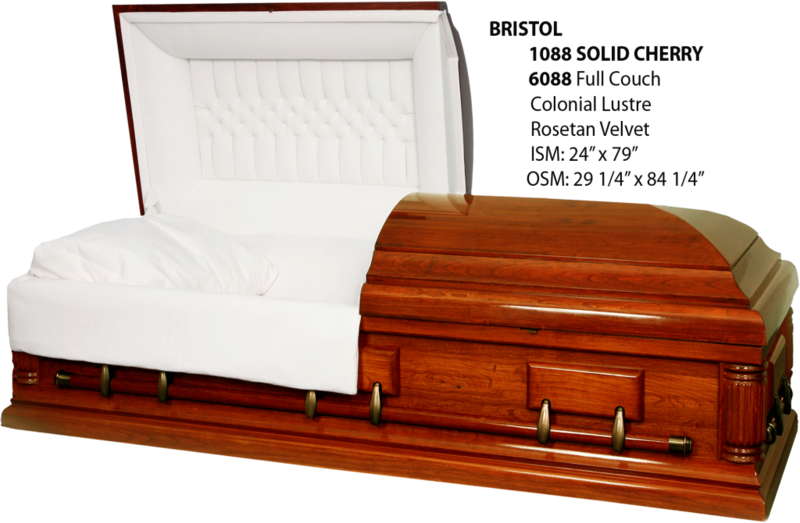 solid copper or solid cherry hardwood. 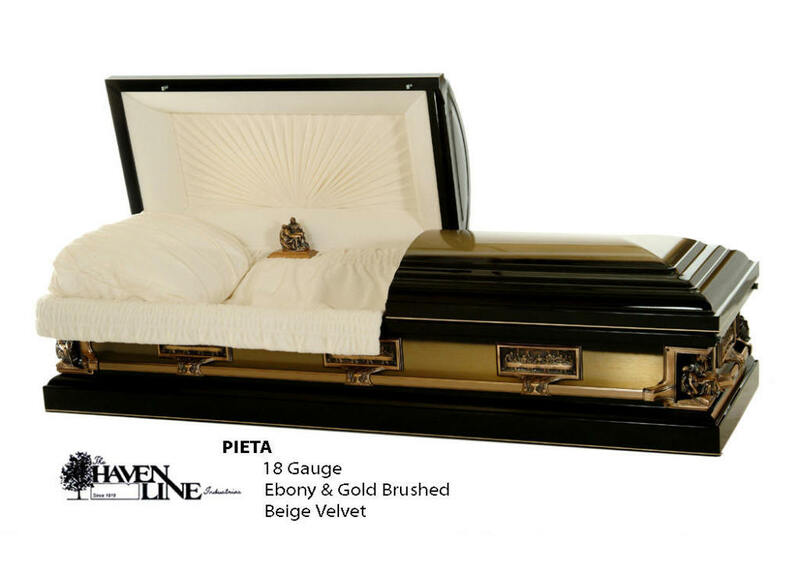 The Eternity Tribute................................$13,900.00 with one day viewing and funeral on the following day. 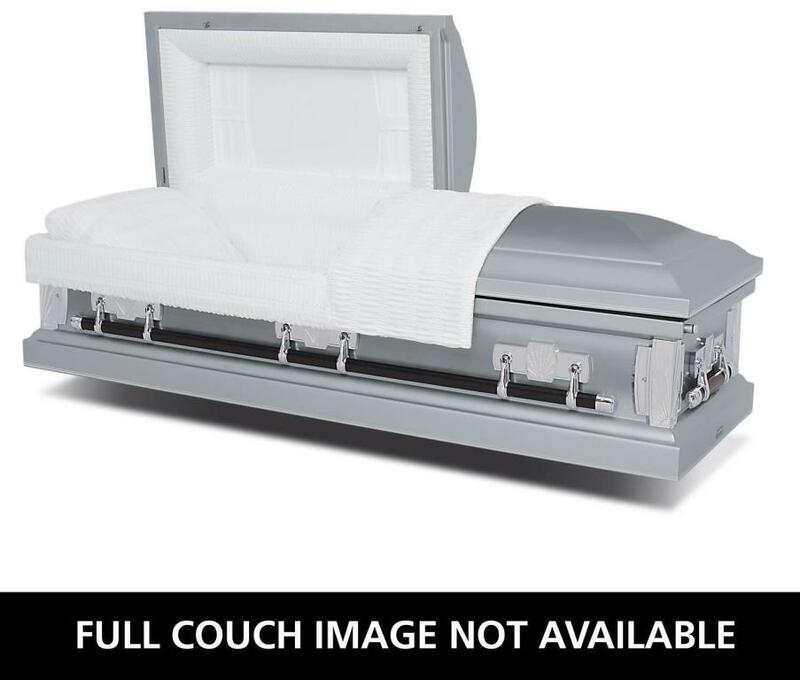 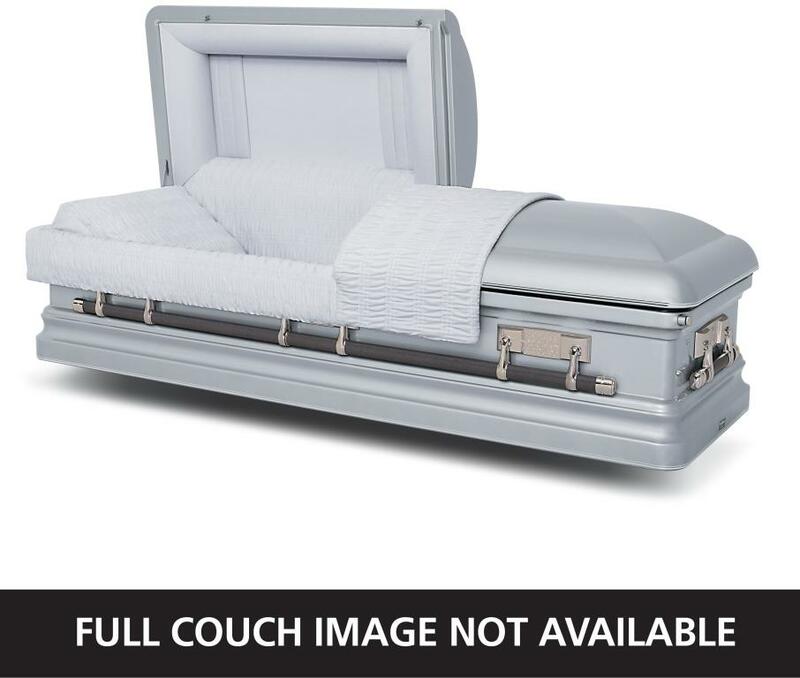 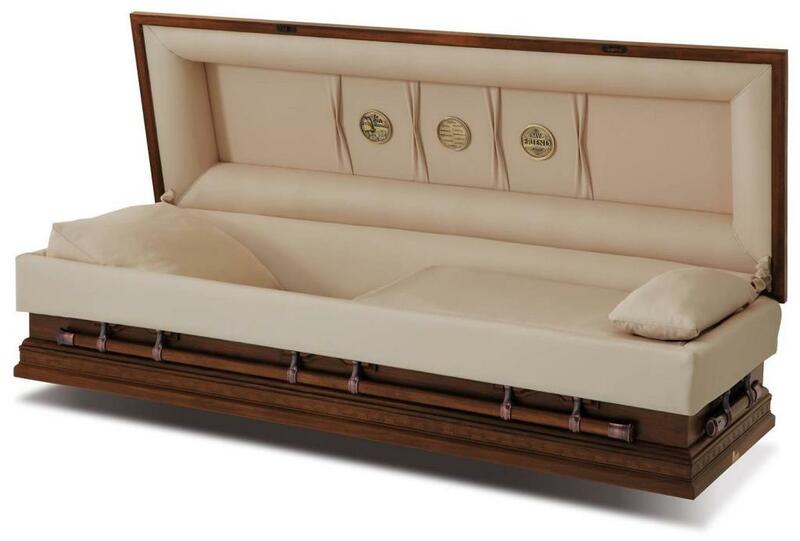 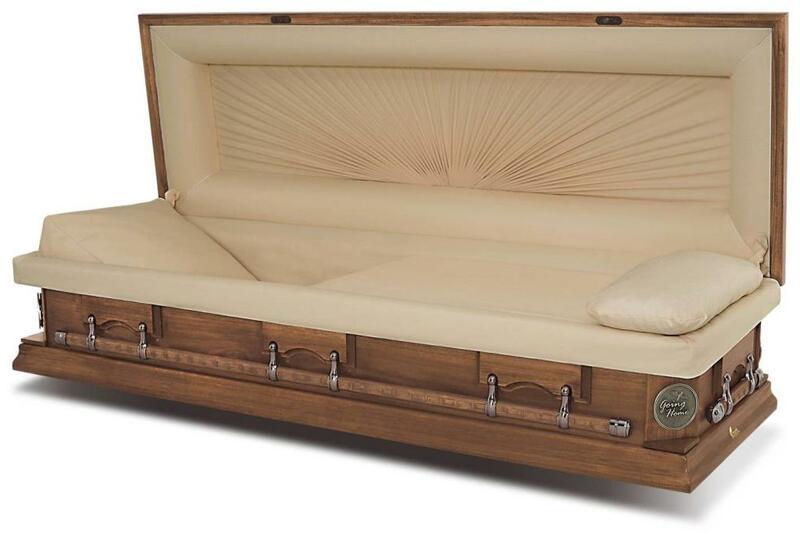 Limited Eternity Tribute.......................................$13,650.00 with same day viewing and funeral service. 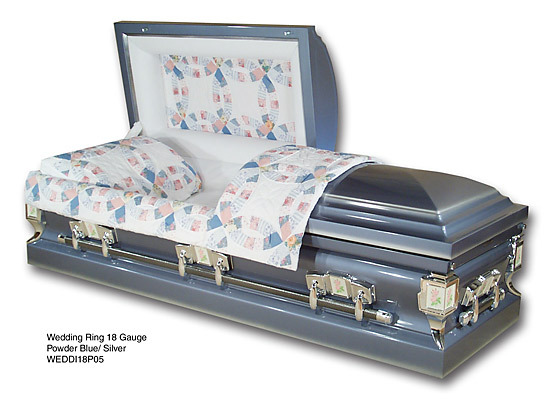 12 ga. regular steel vault may be purchased for $1,075,00. 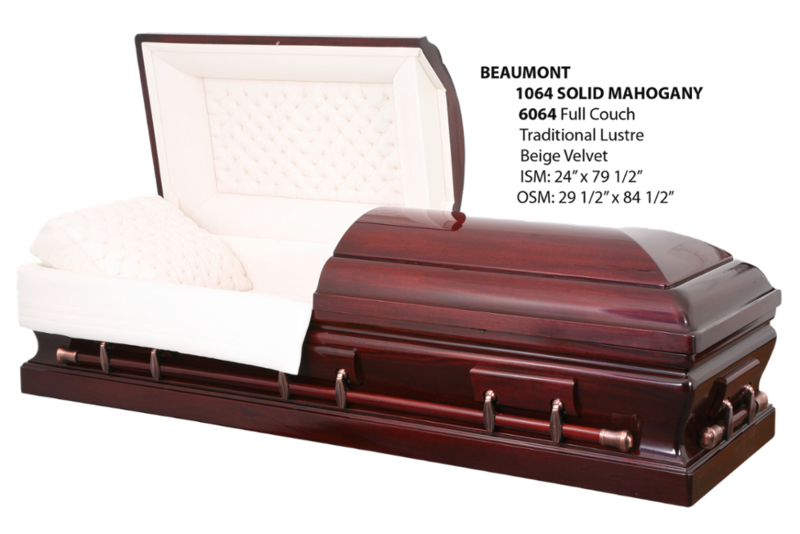 Other grades of steel and concrete vaults are available. 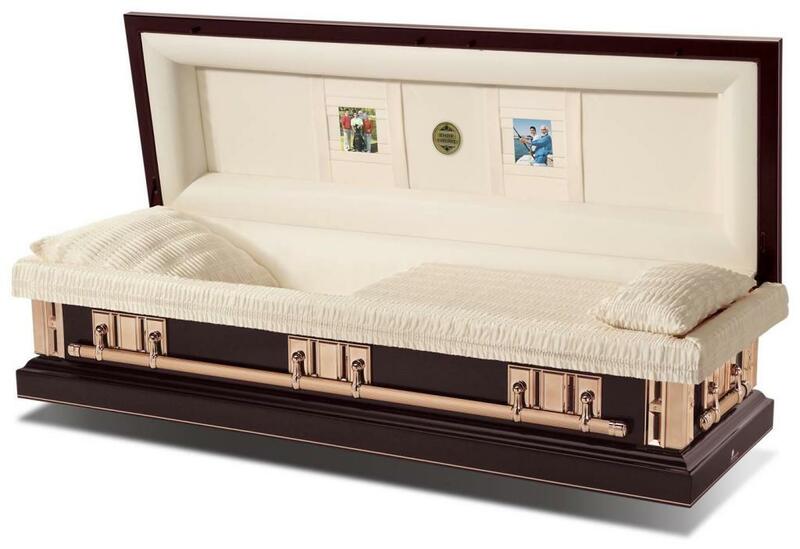 All caskets in this section are made from 32 oz. 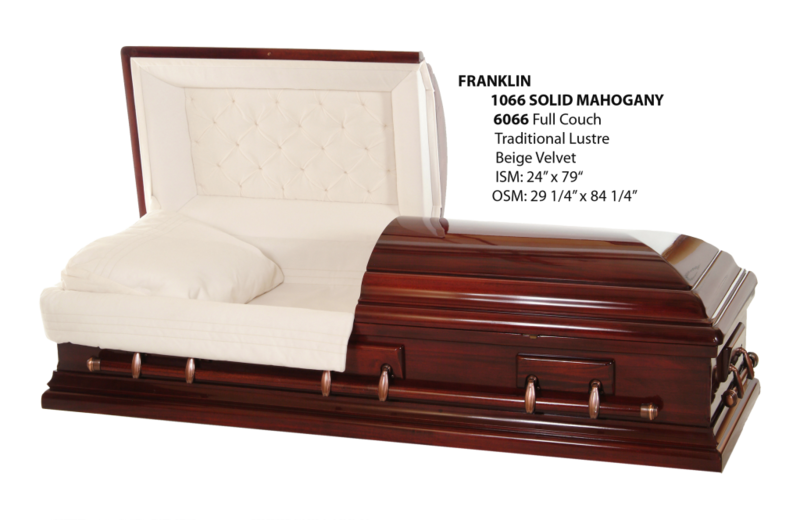 solid bronze or solid walnut or mahogany hardwood.